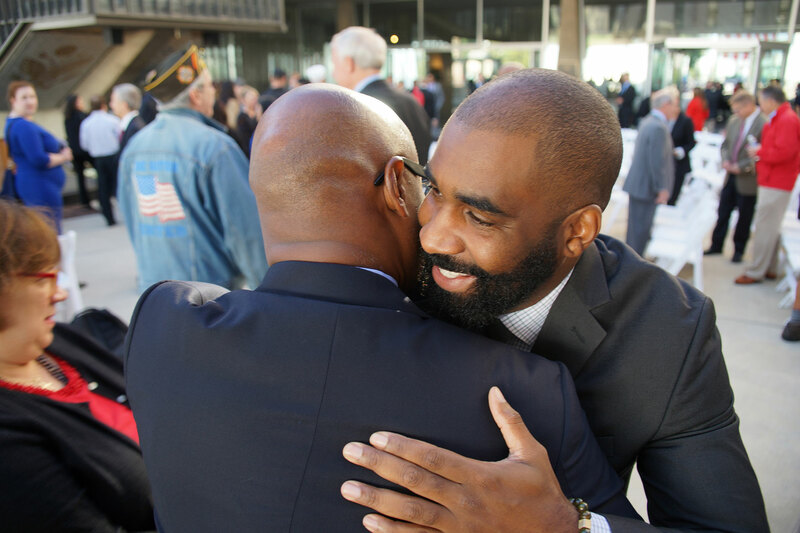 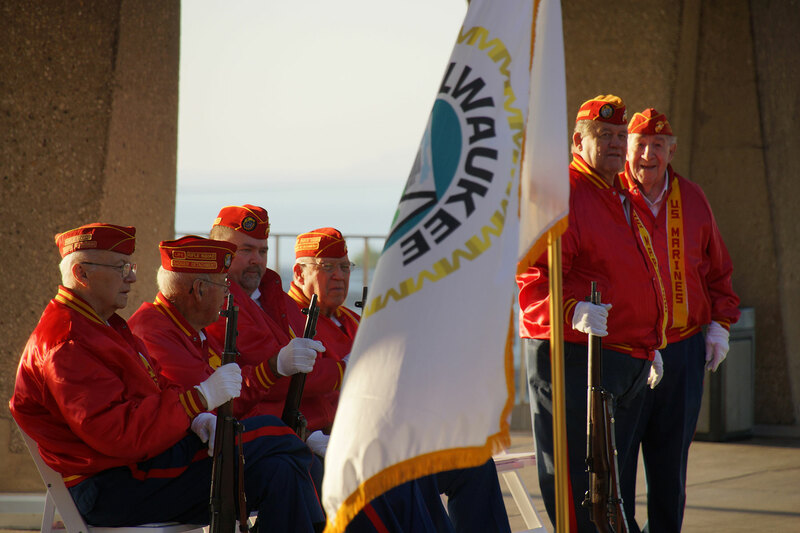 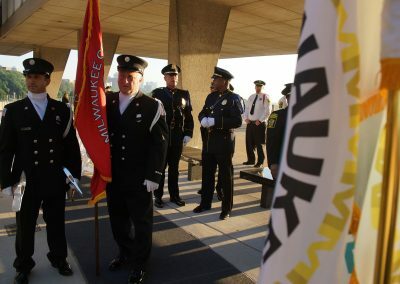 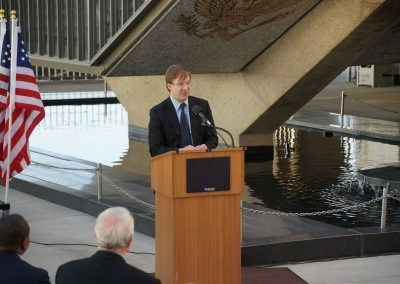 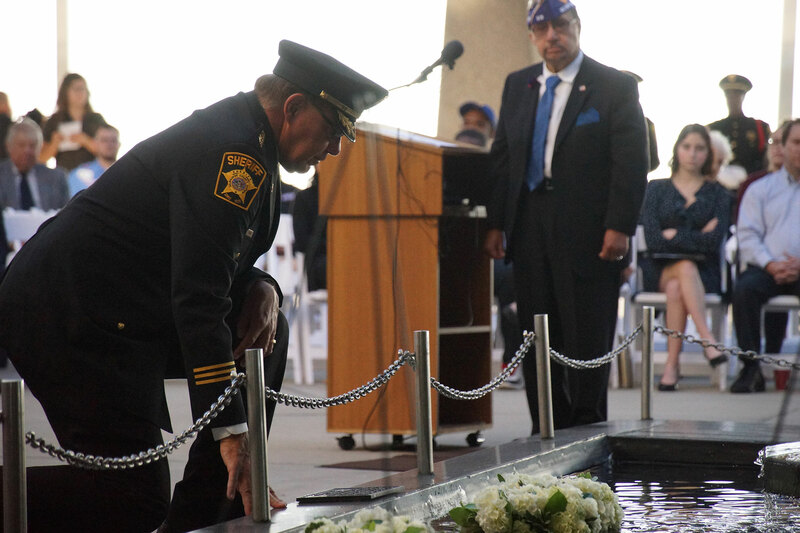 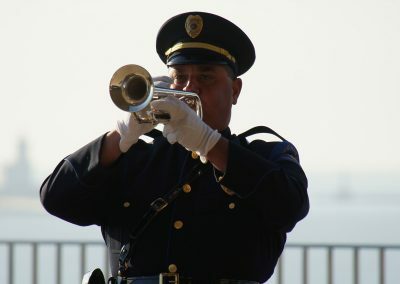 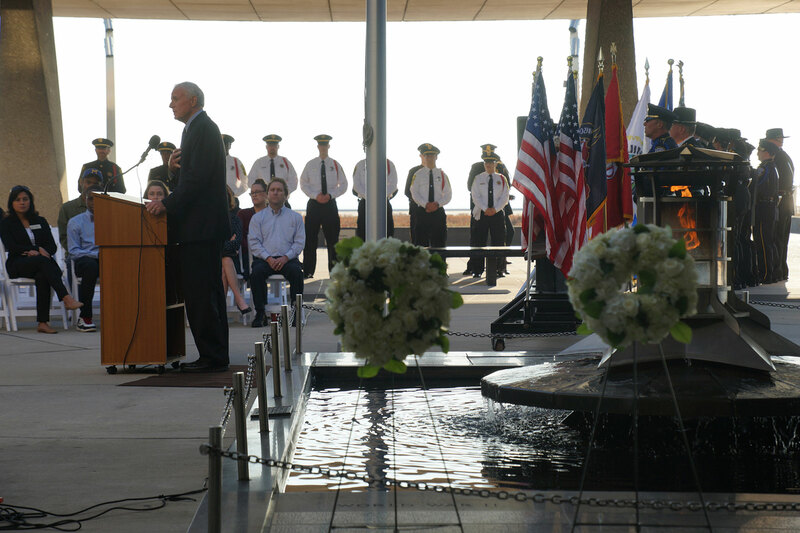 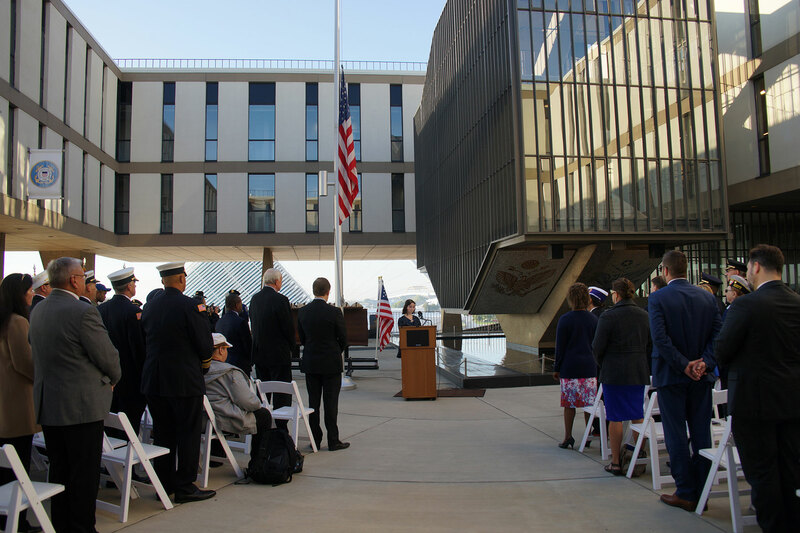 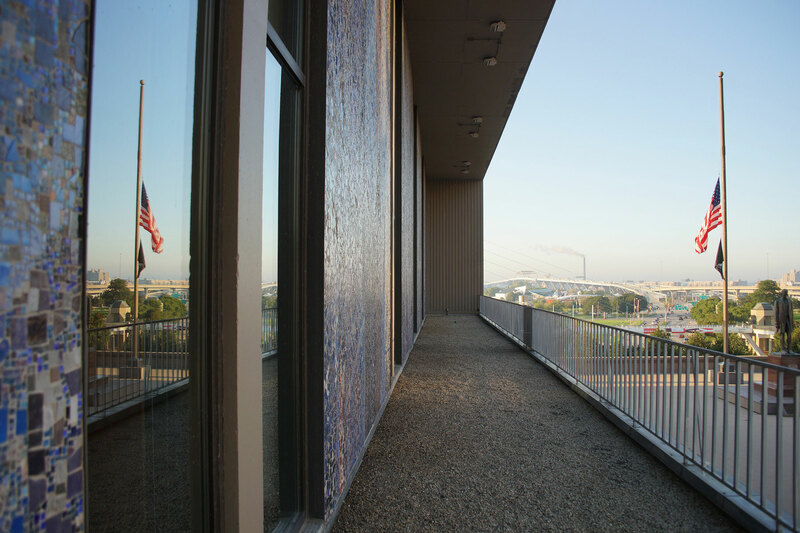 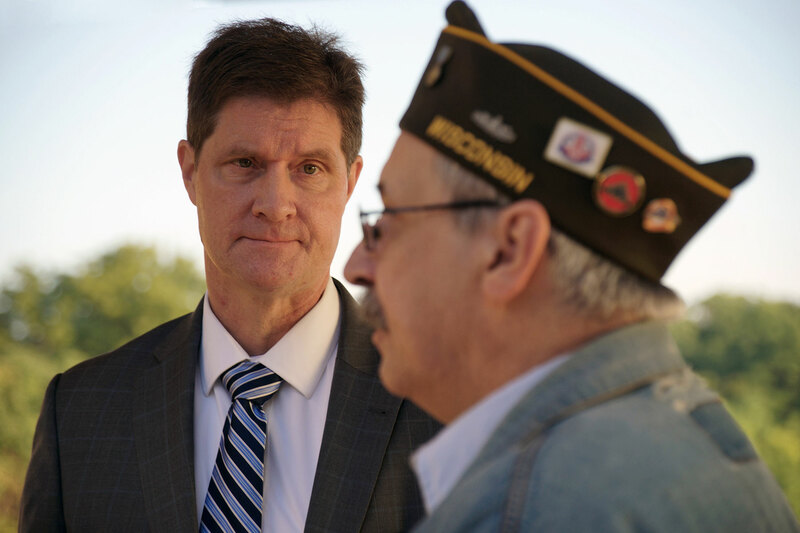 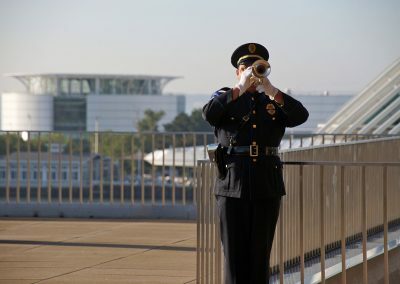 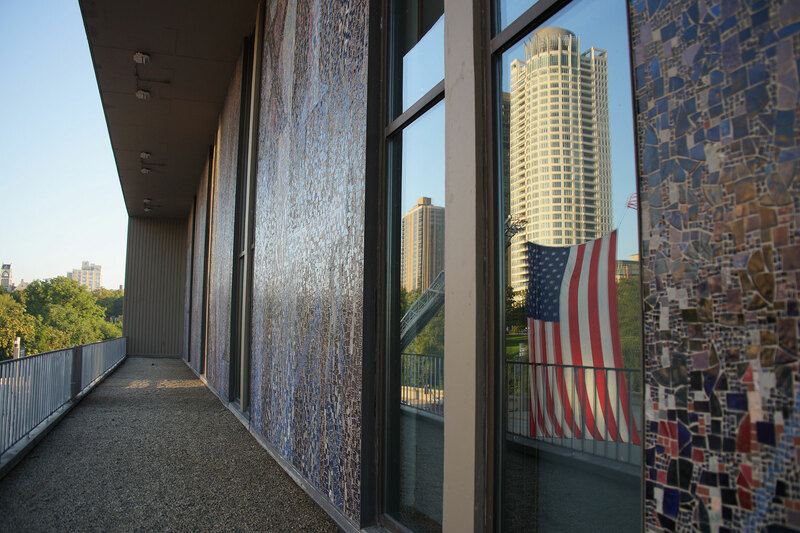 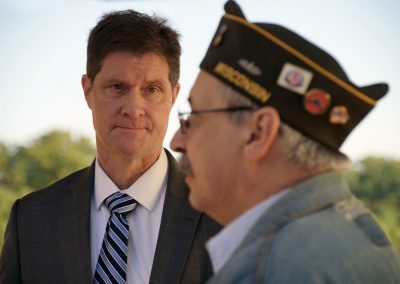 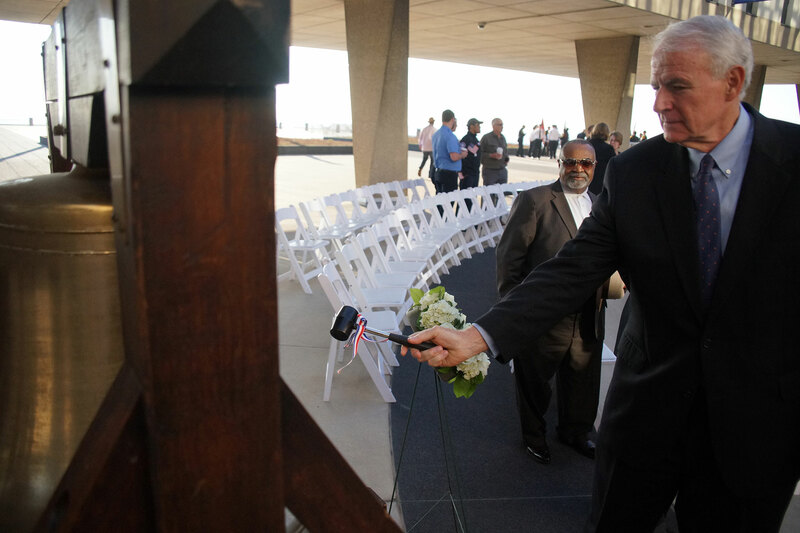 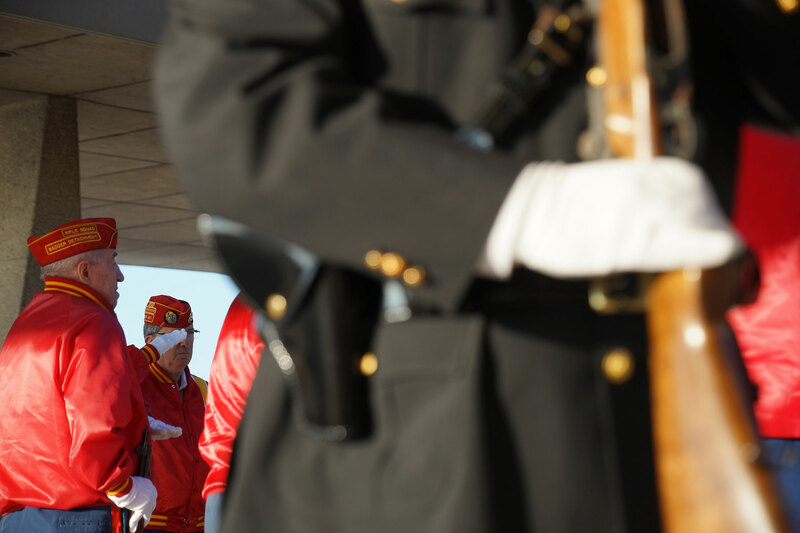 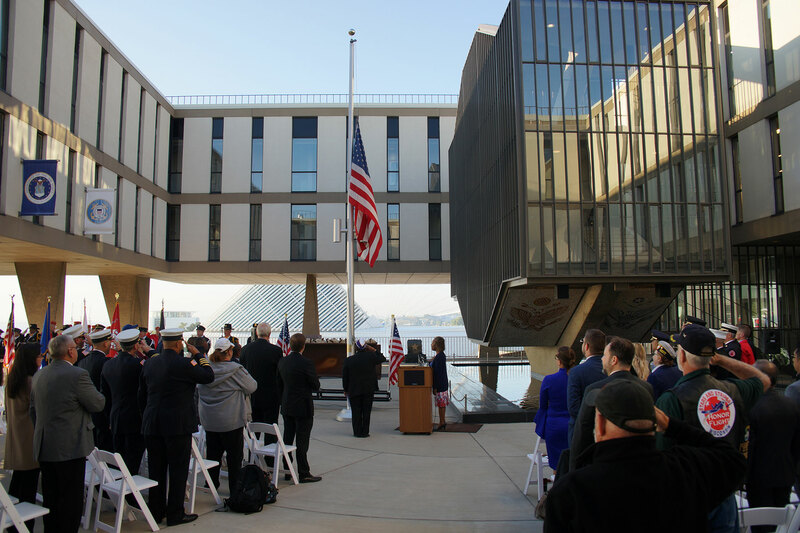 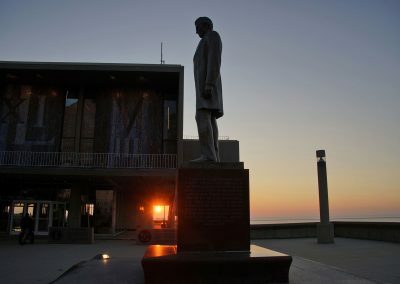 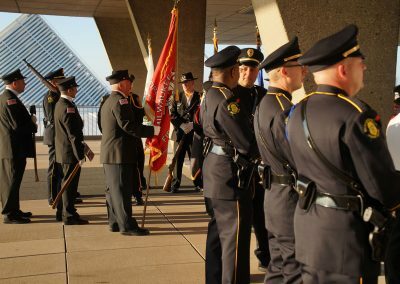 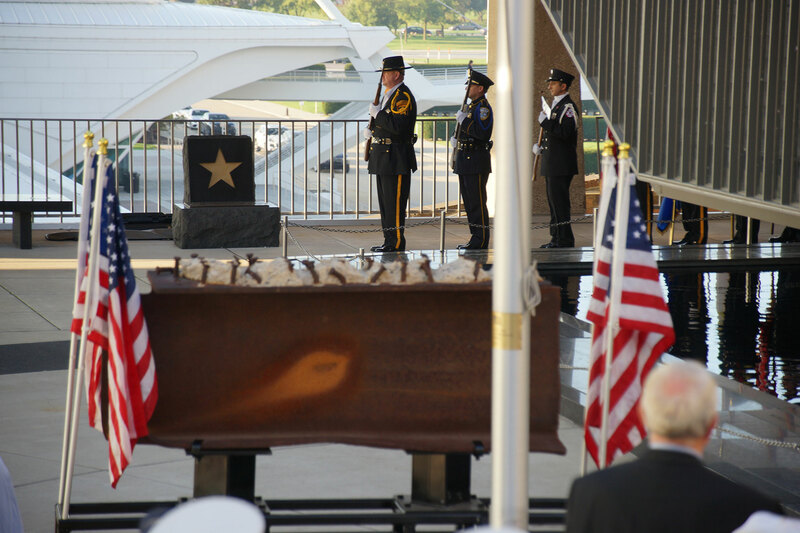 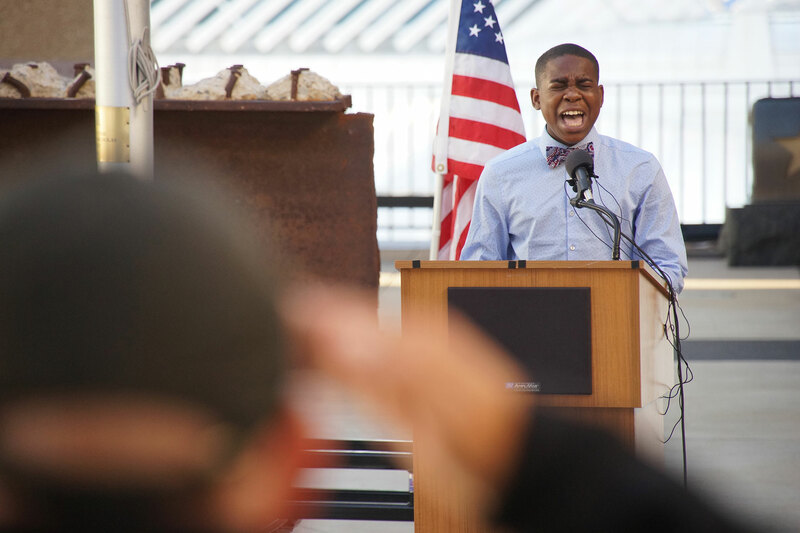 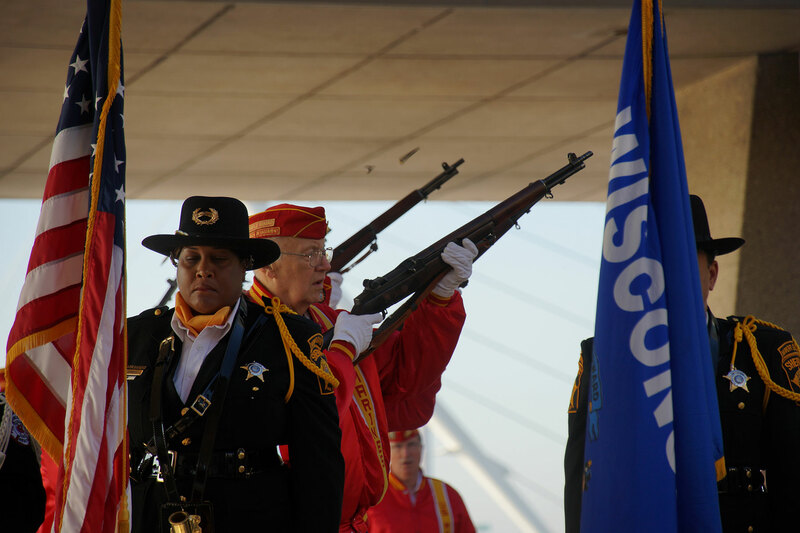 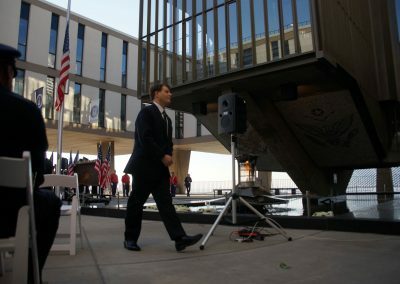 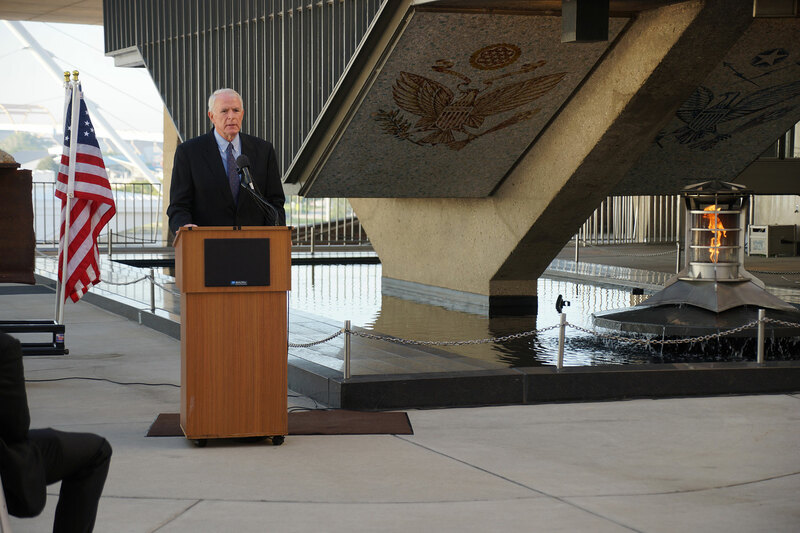 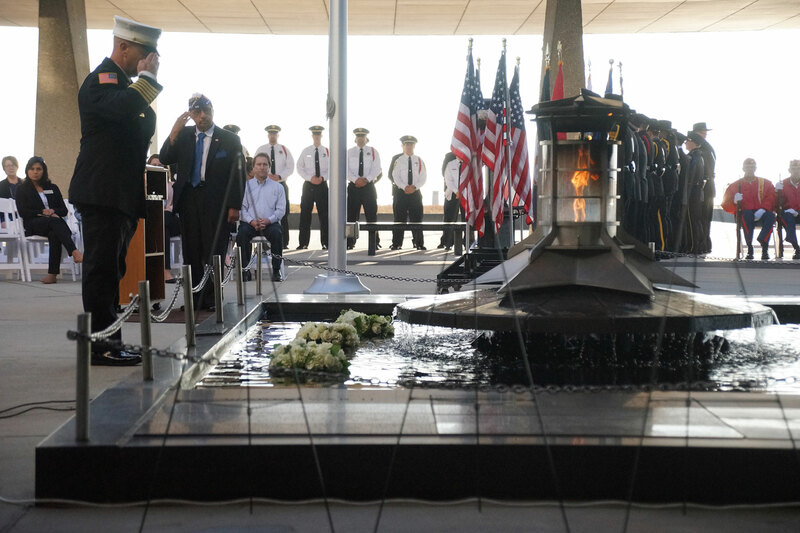 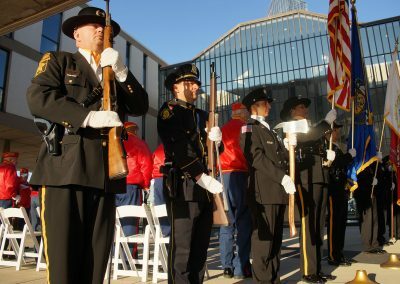 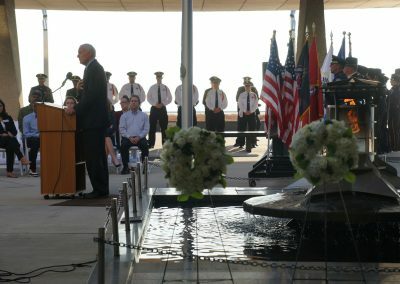 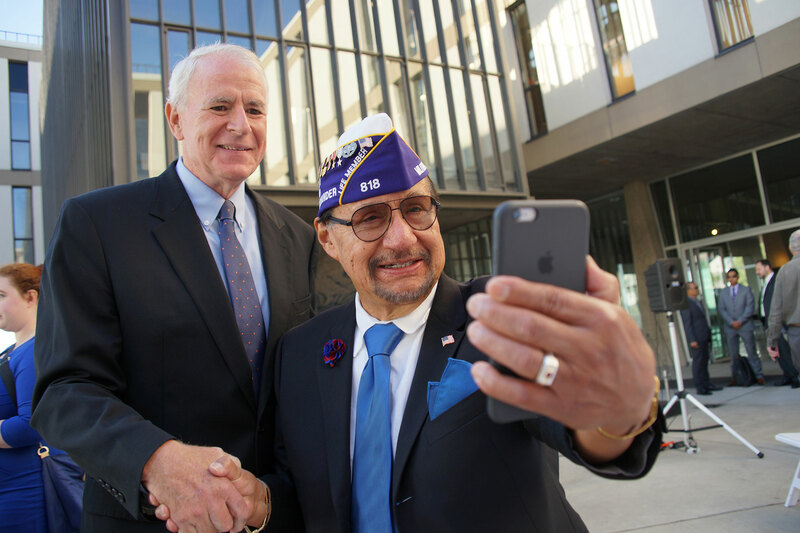 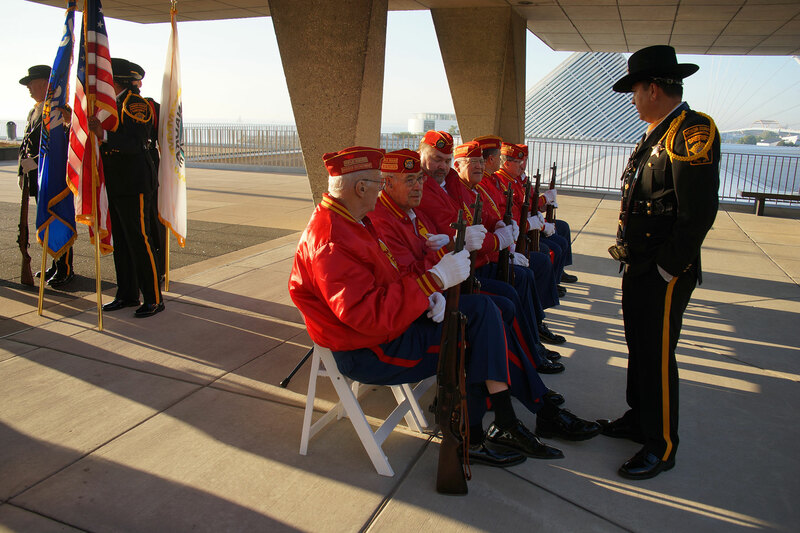 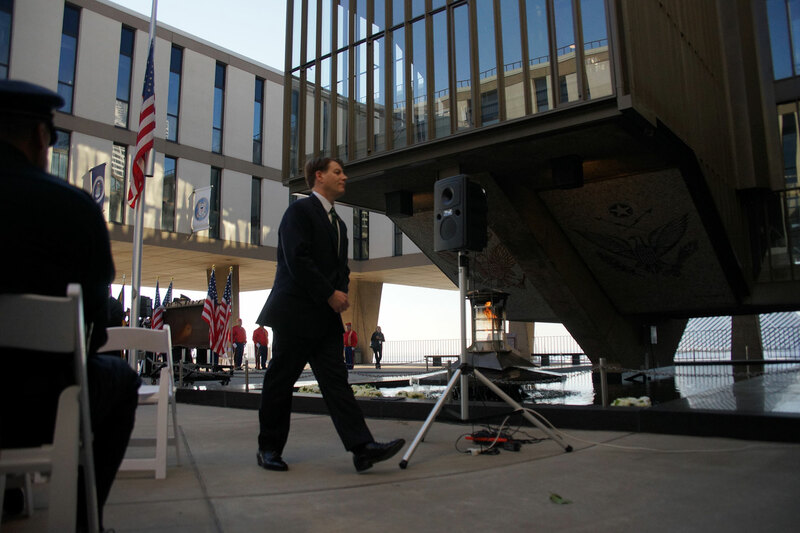 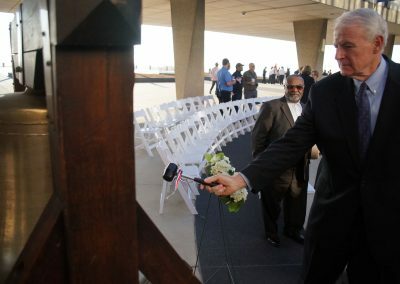 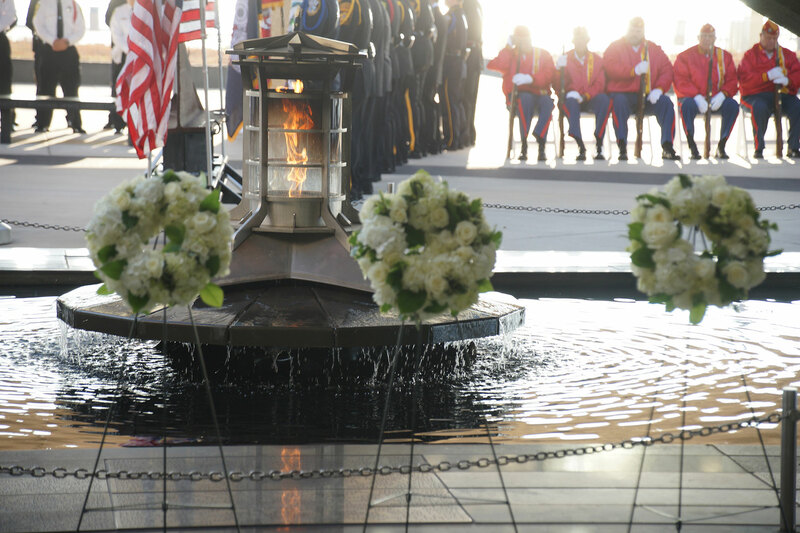 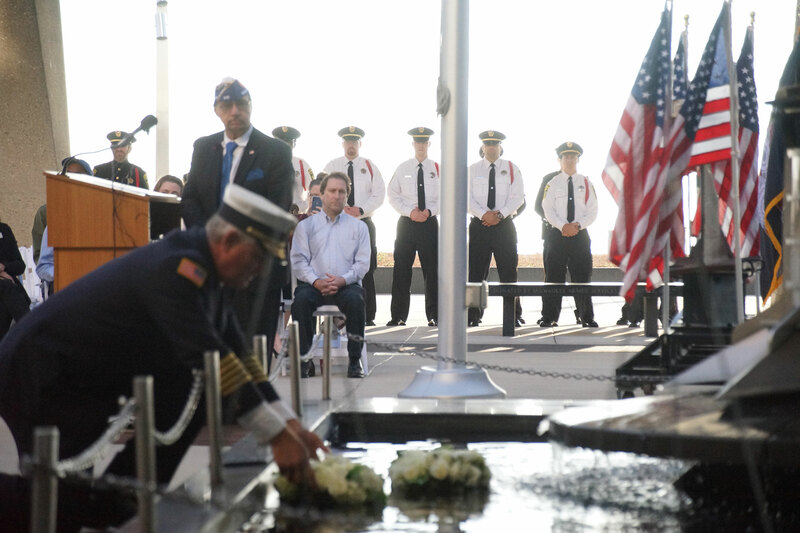 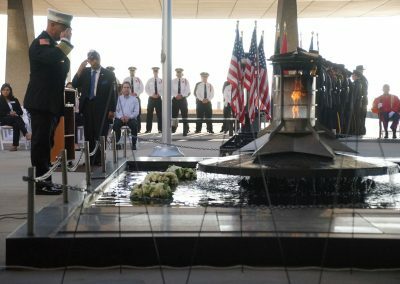 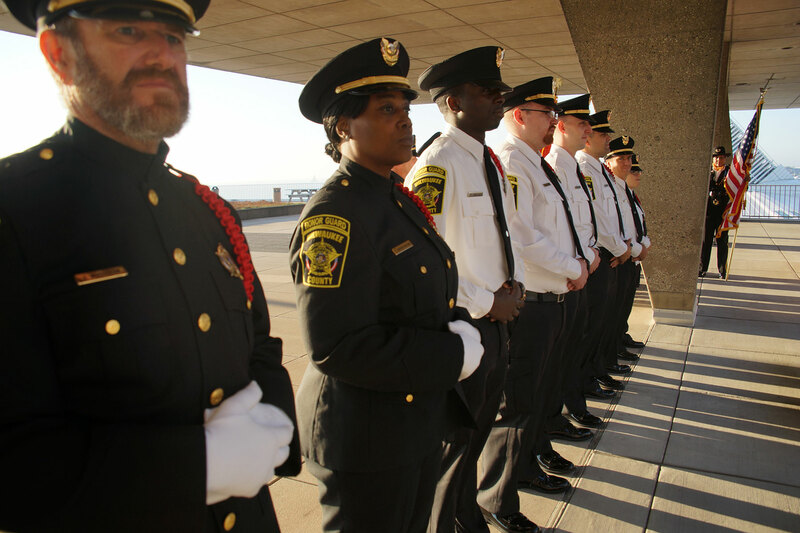 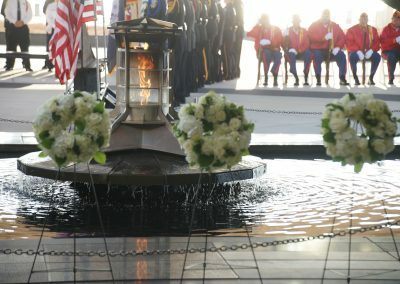 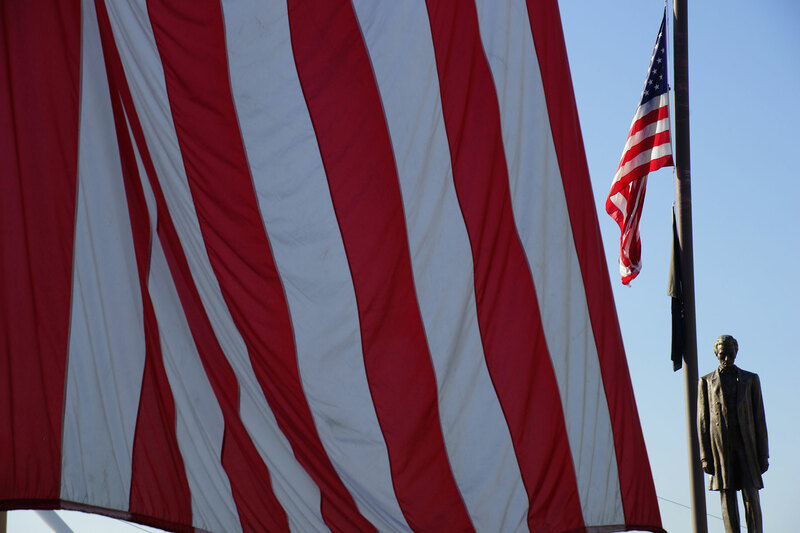 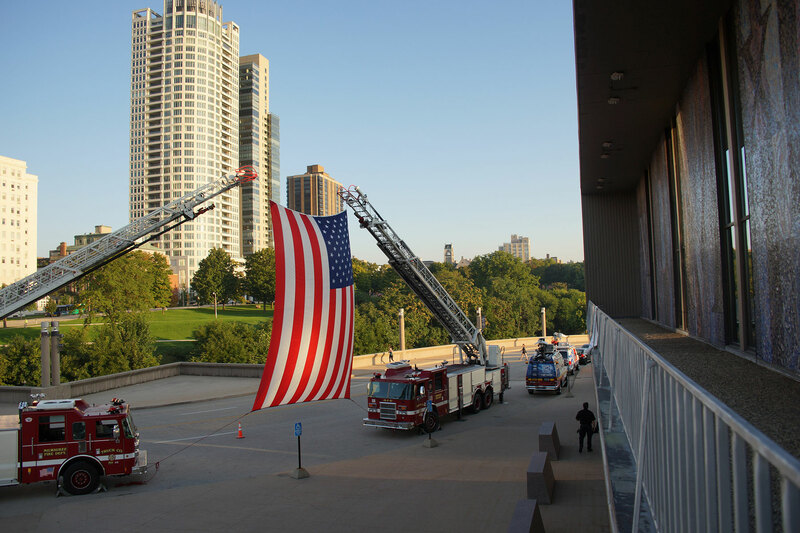 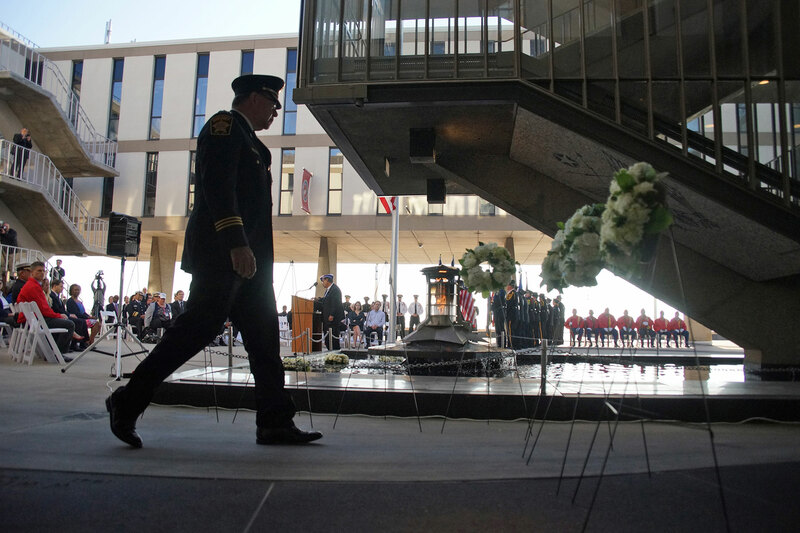 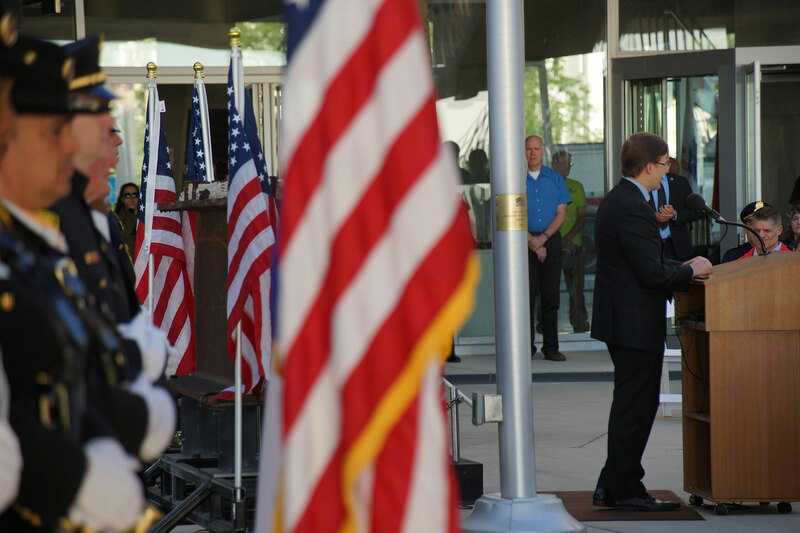 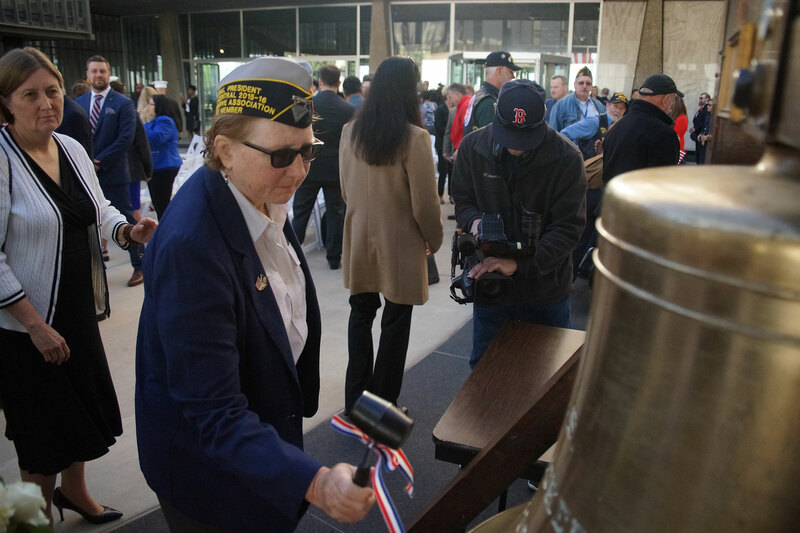 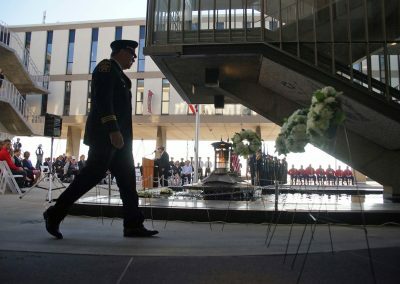 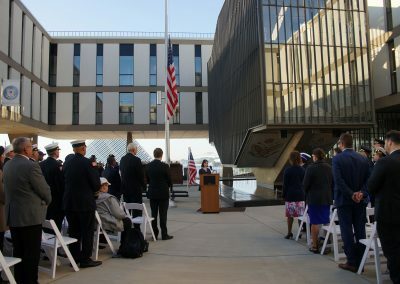 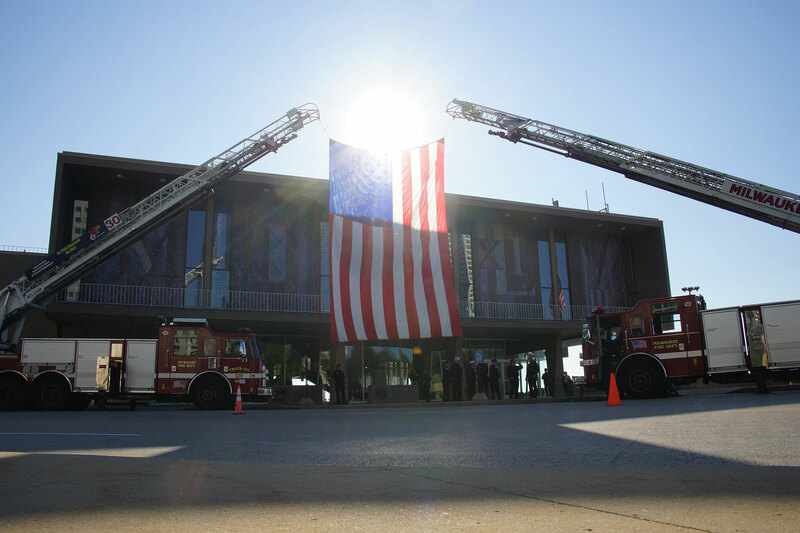 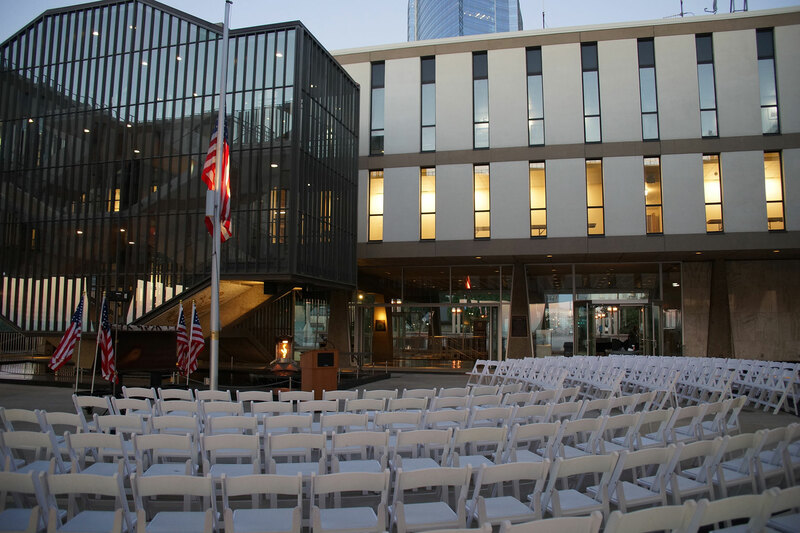 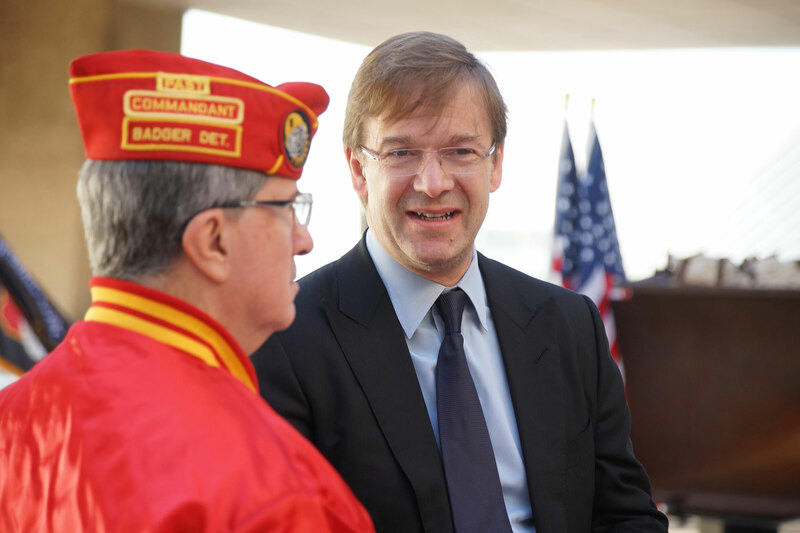 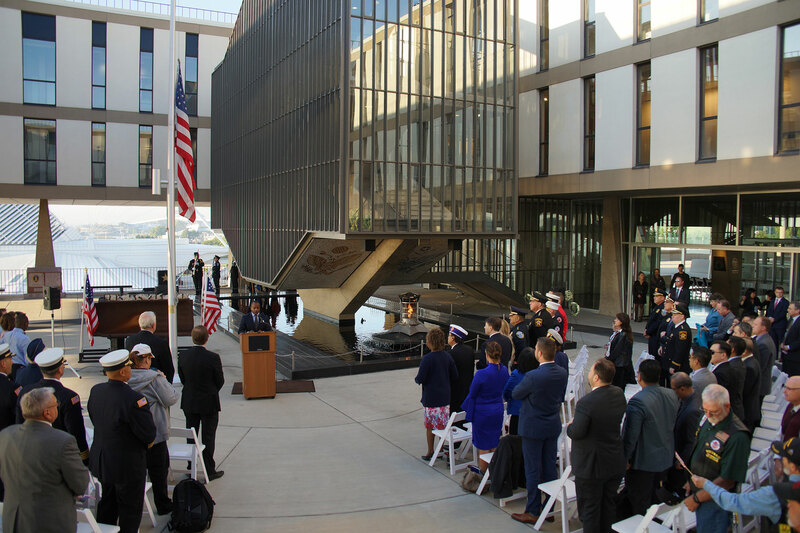 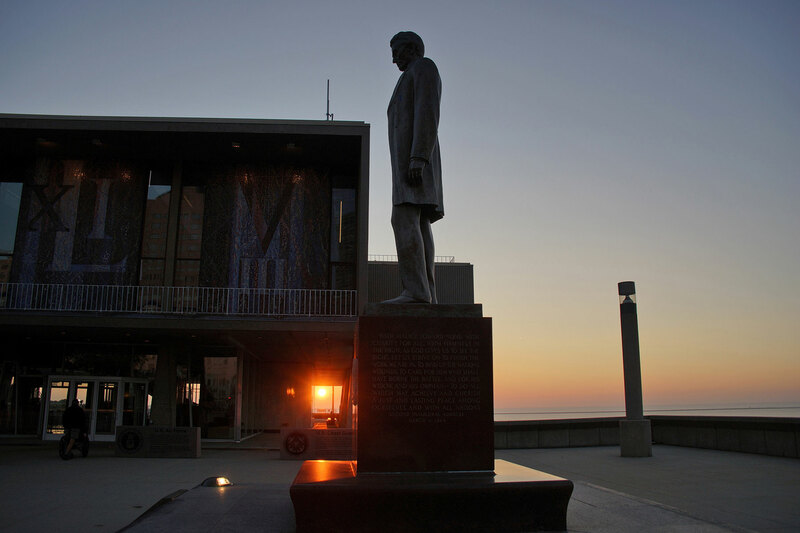 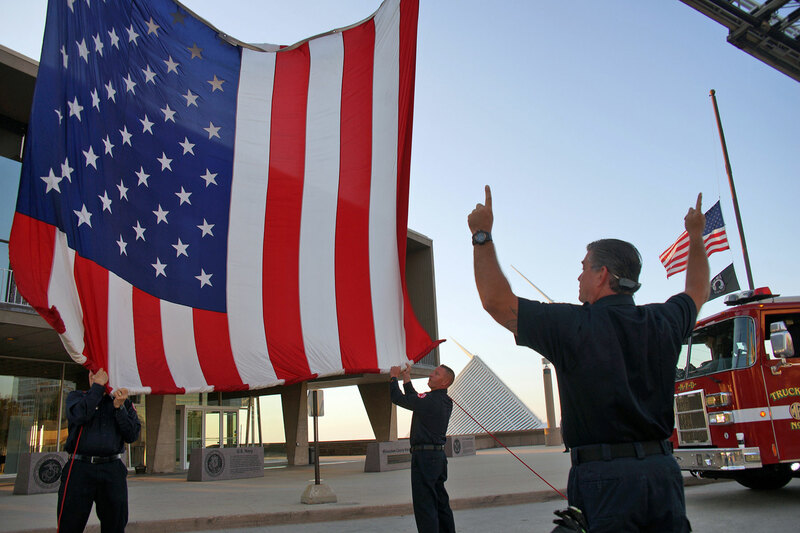 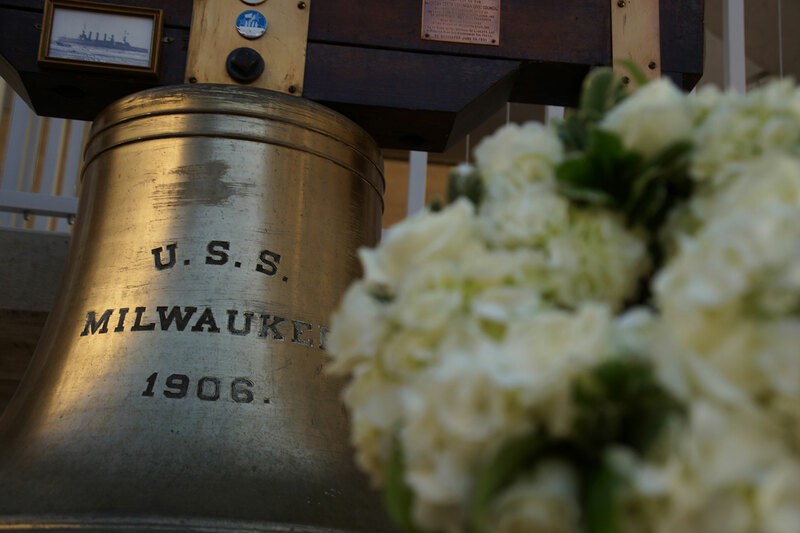 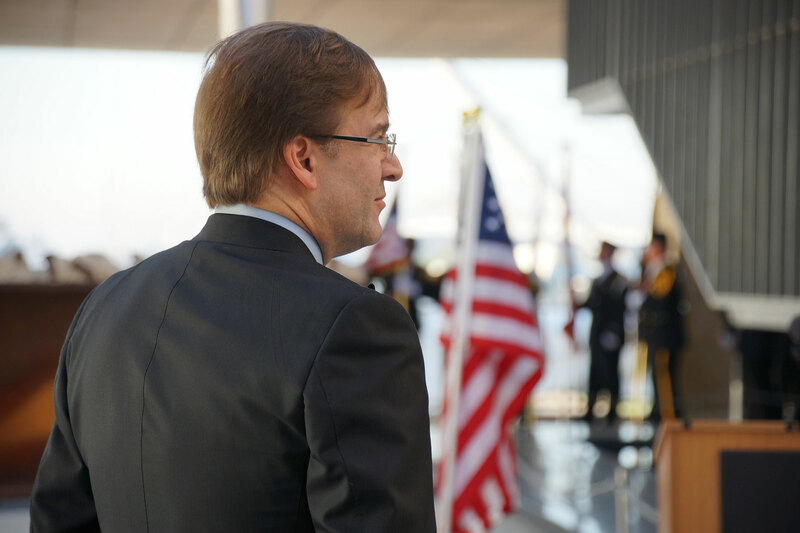 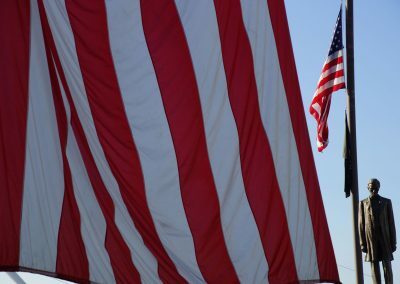 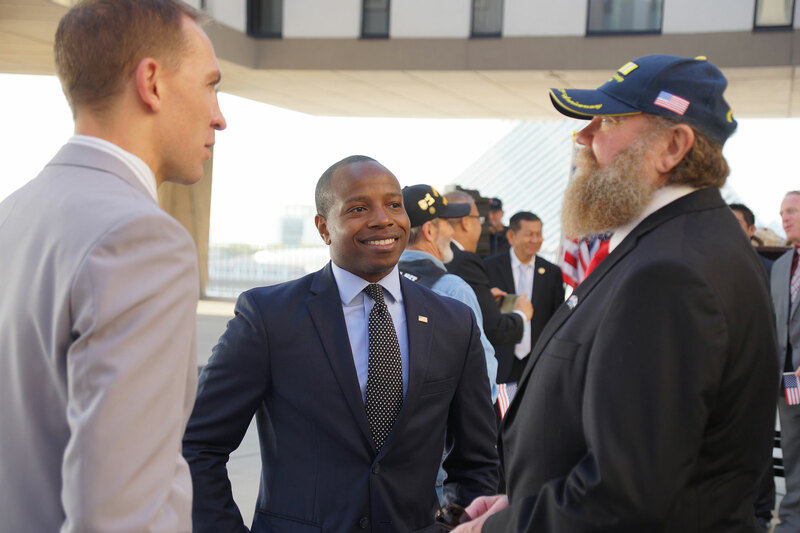 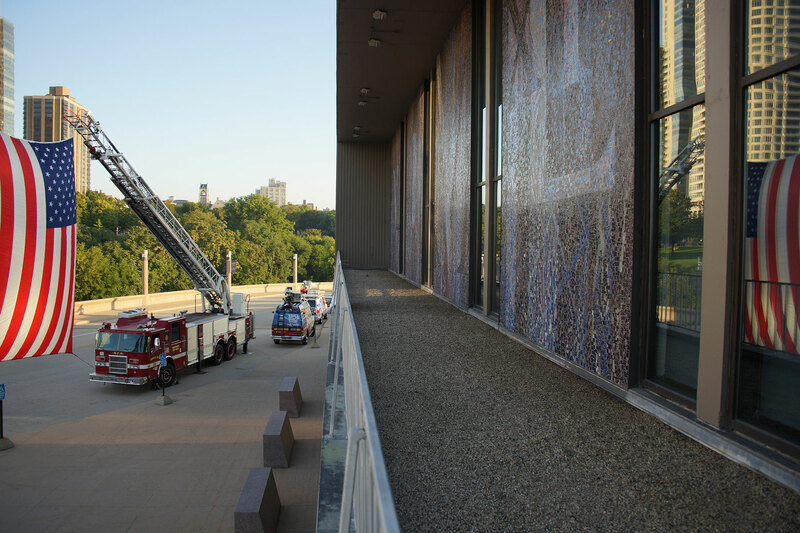 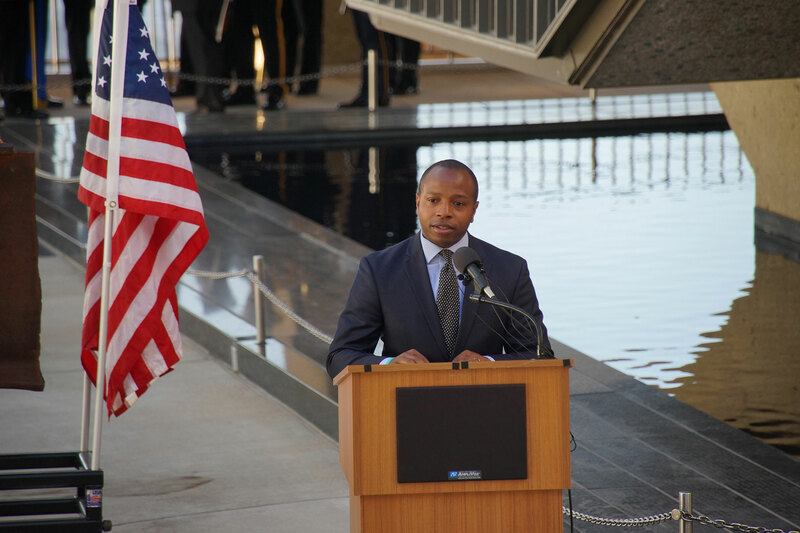 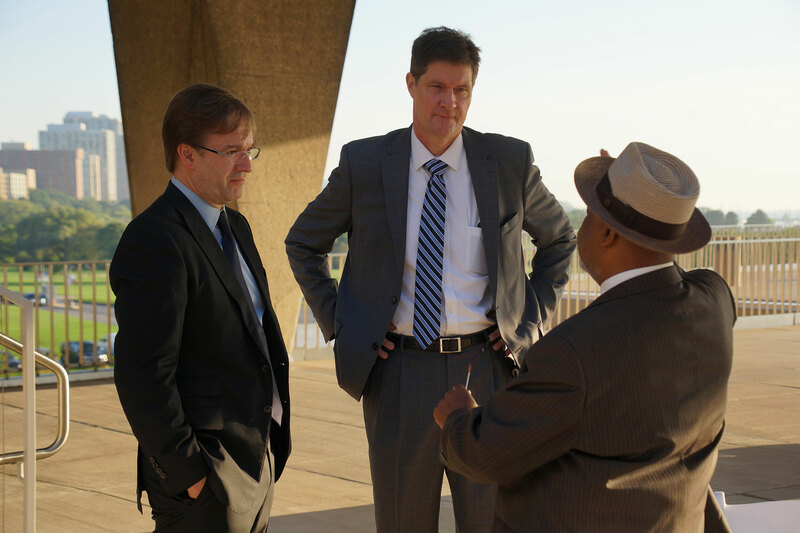 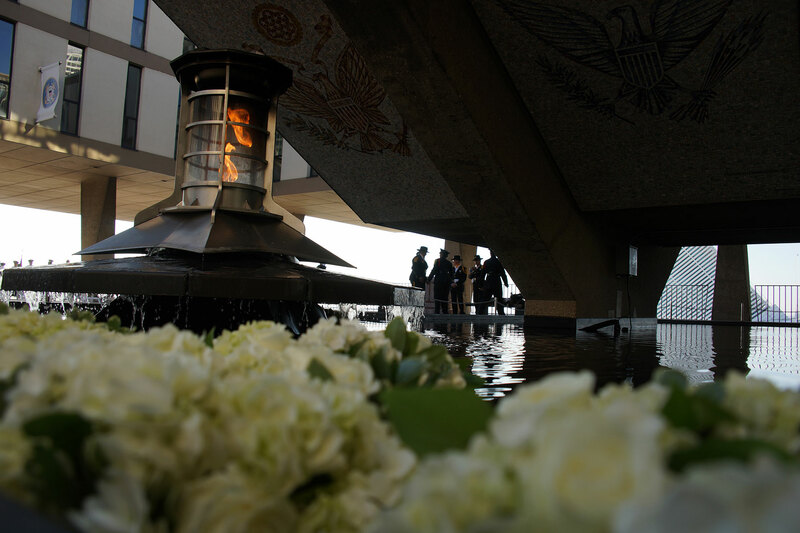 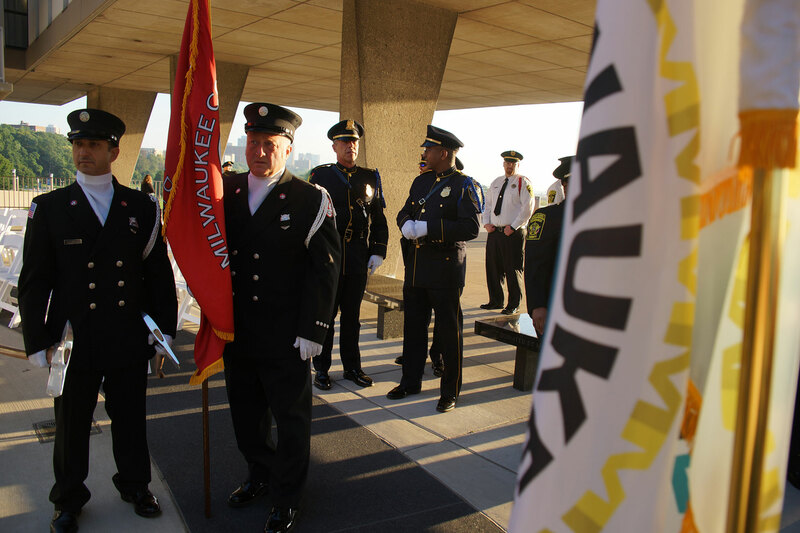 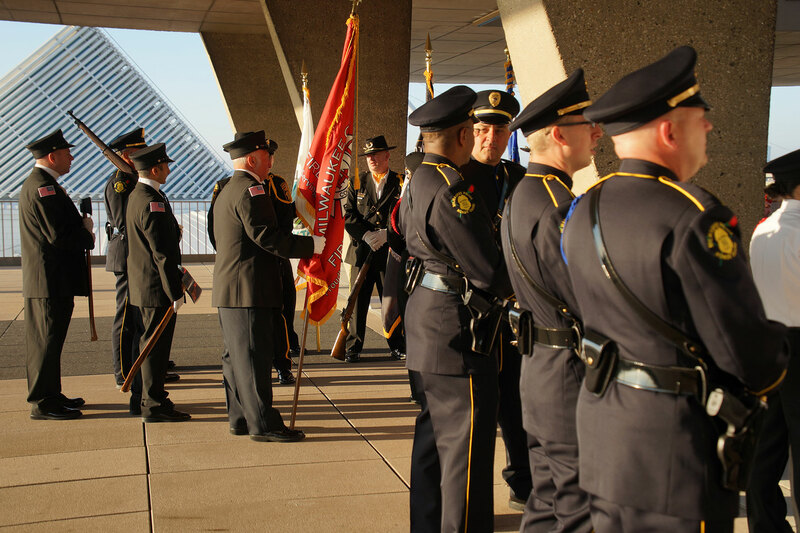 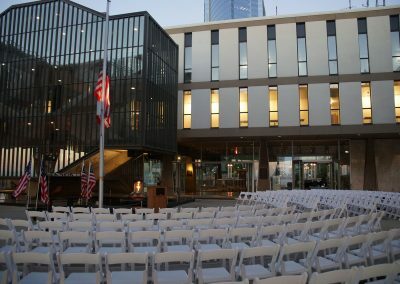 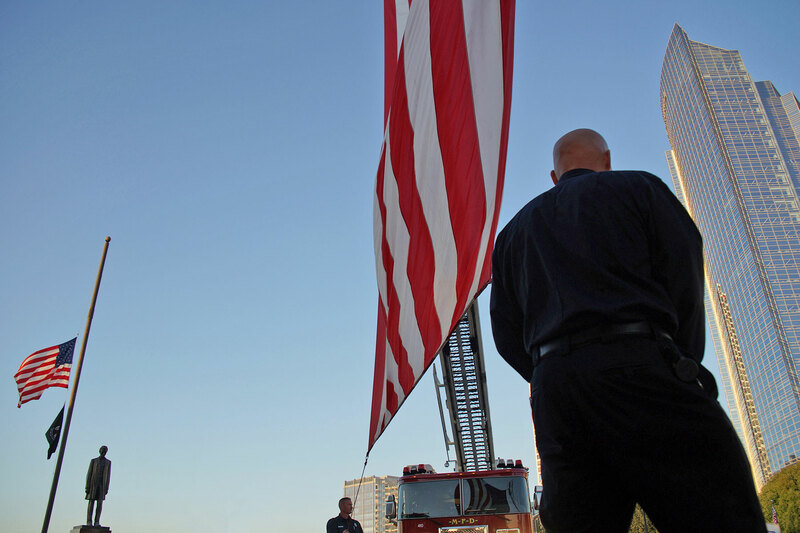 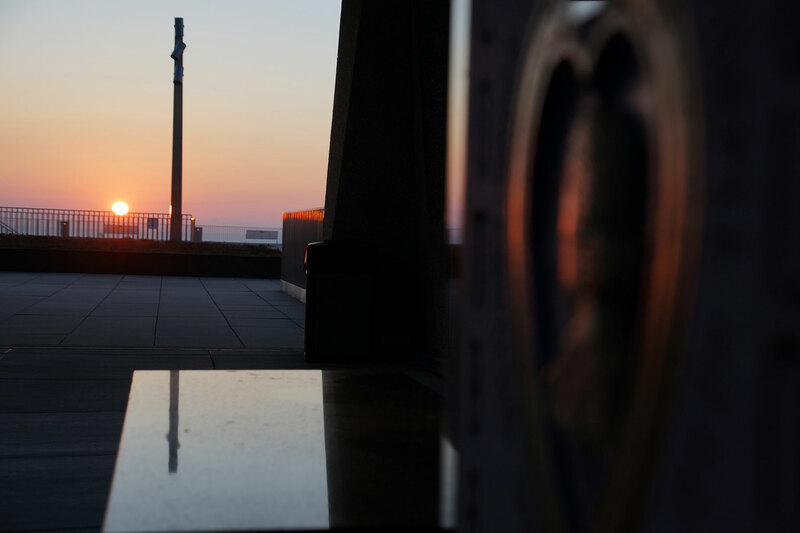 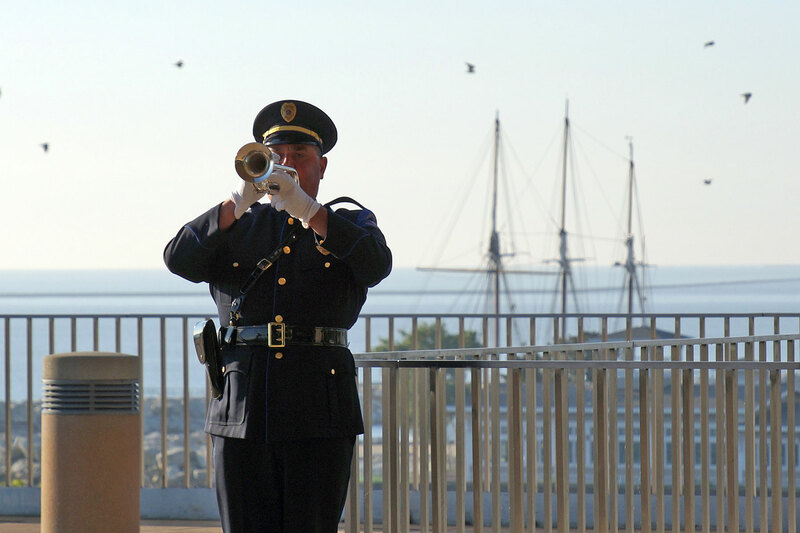 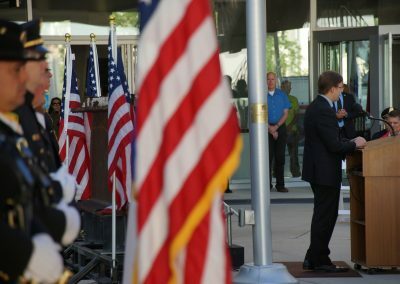 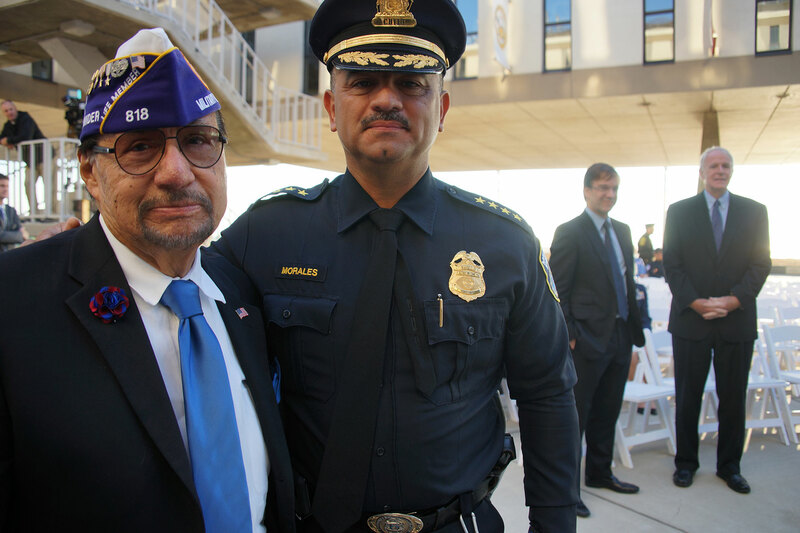 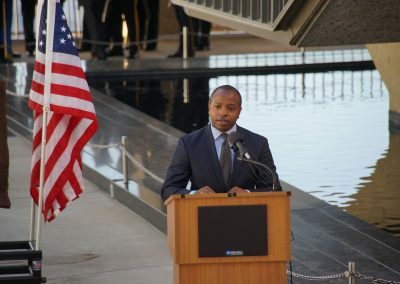 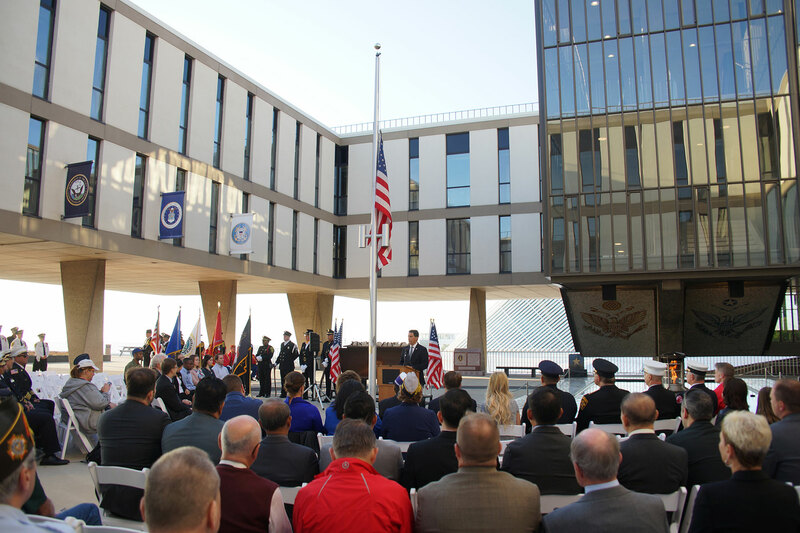 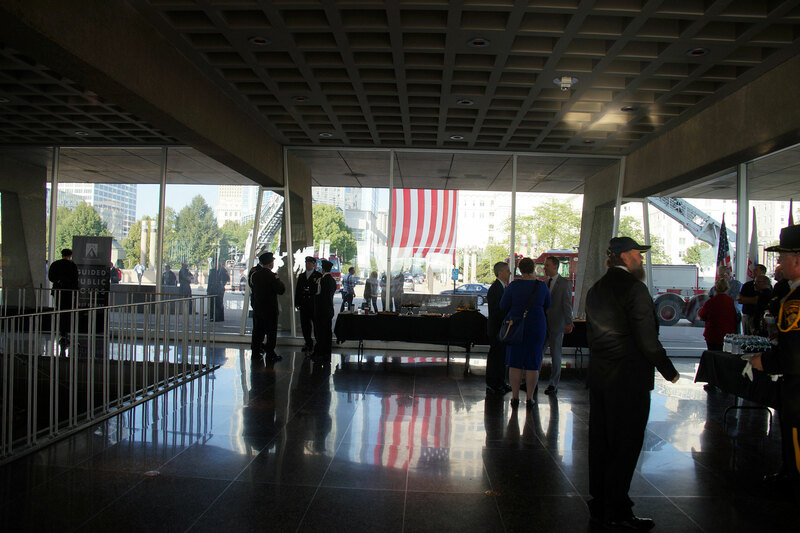 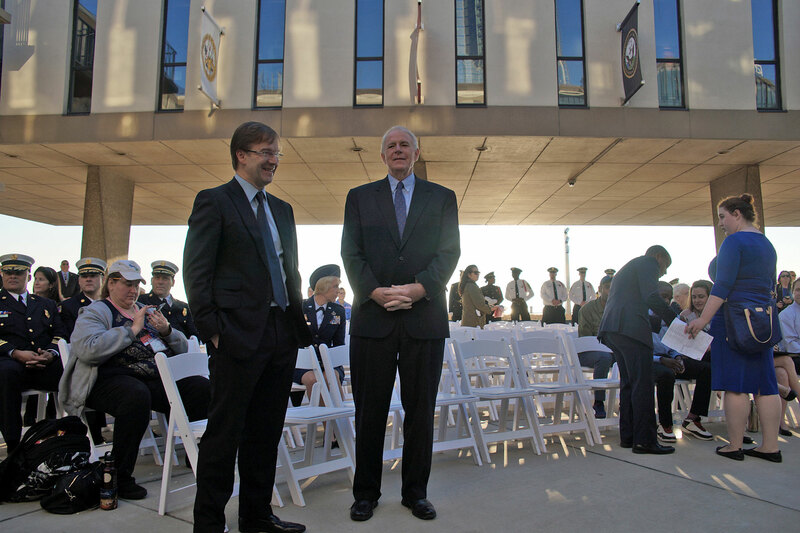 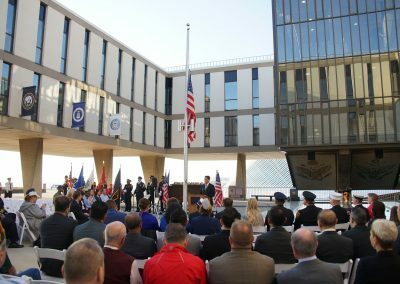 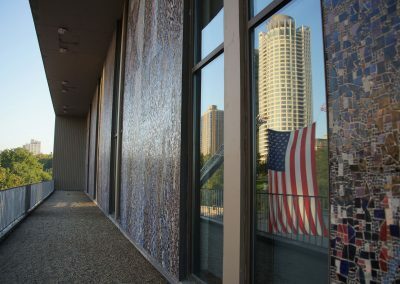 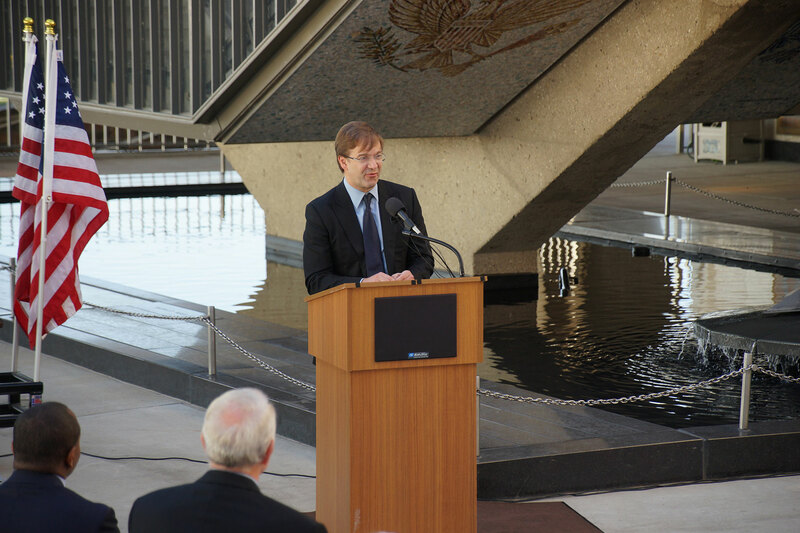 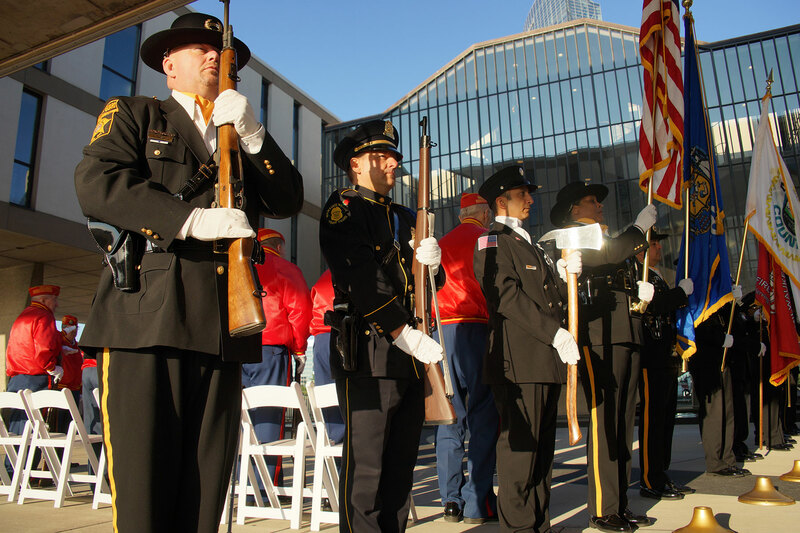 A somber memorial ceremony was held in remembrance of the 17th anniversary of the 9/11 tragedy, at the Milwaukee County War Memorial Center along Lake Michigan. 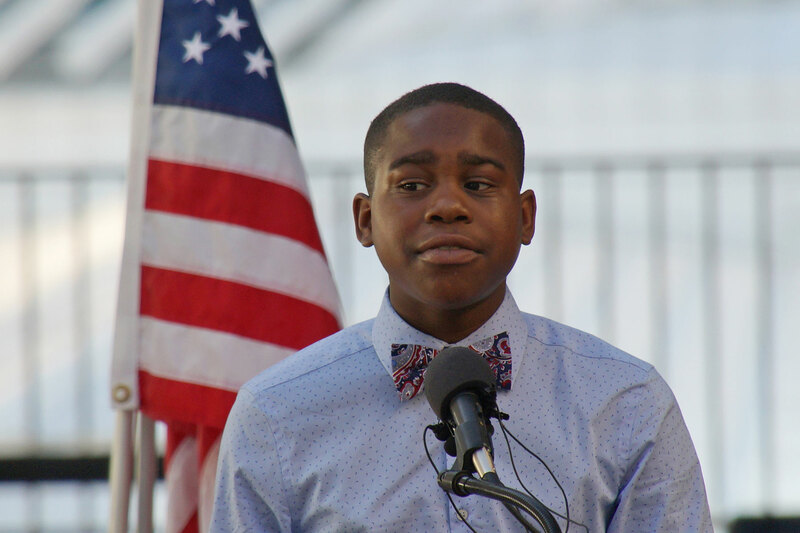 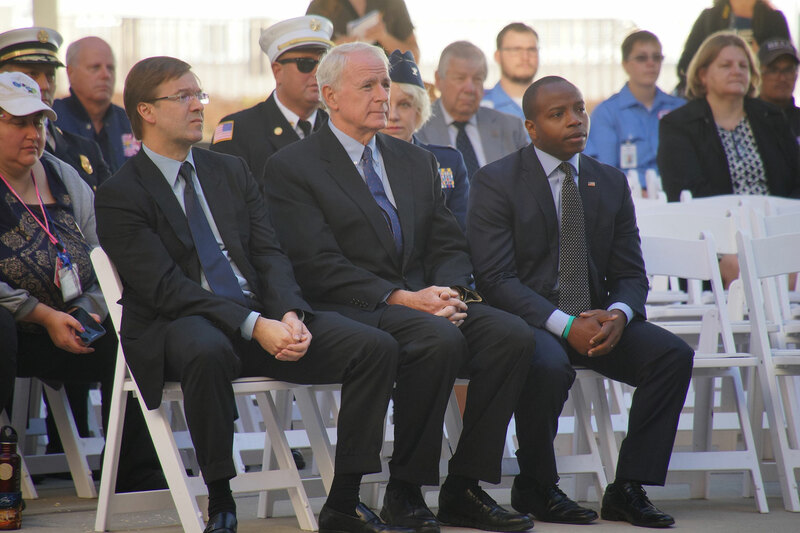 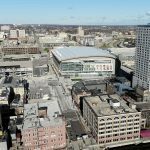 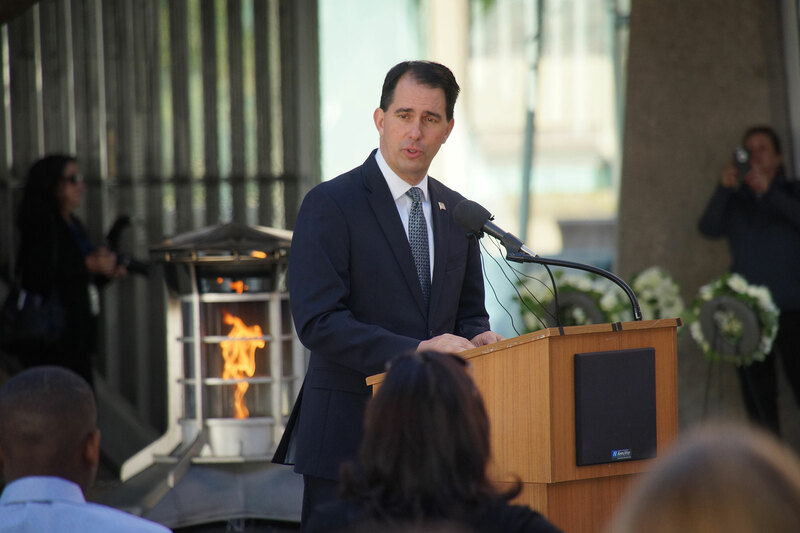 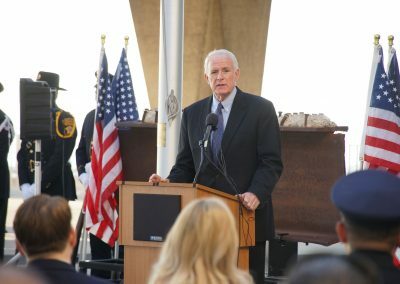 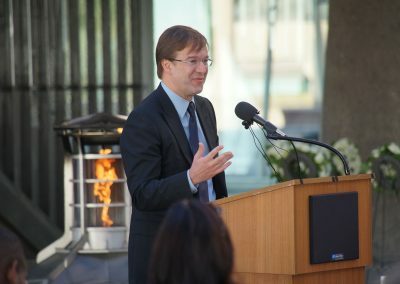 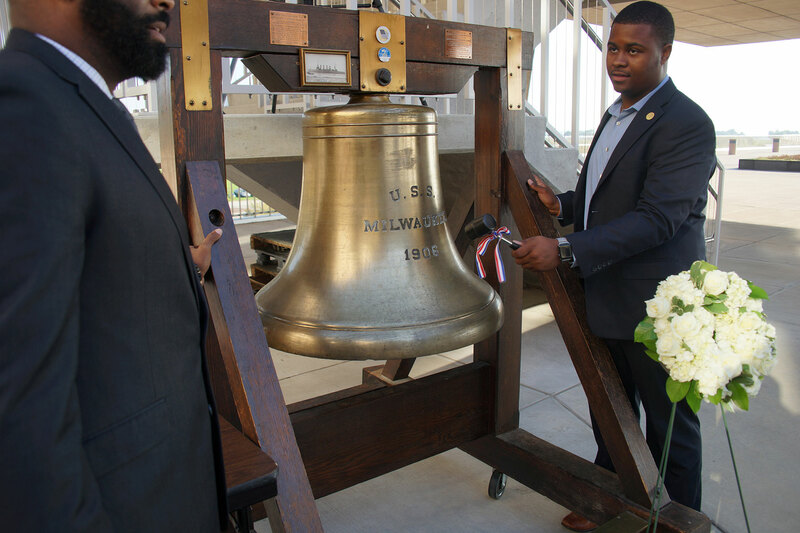 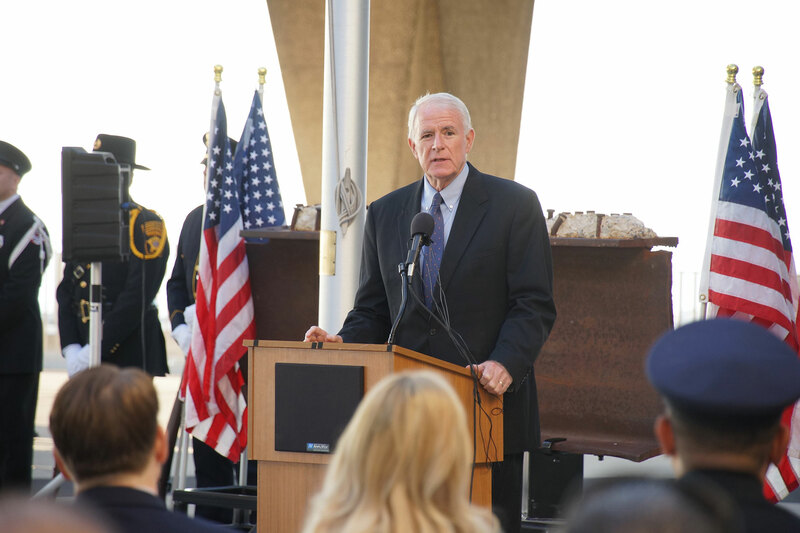 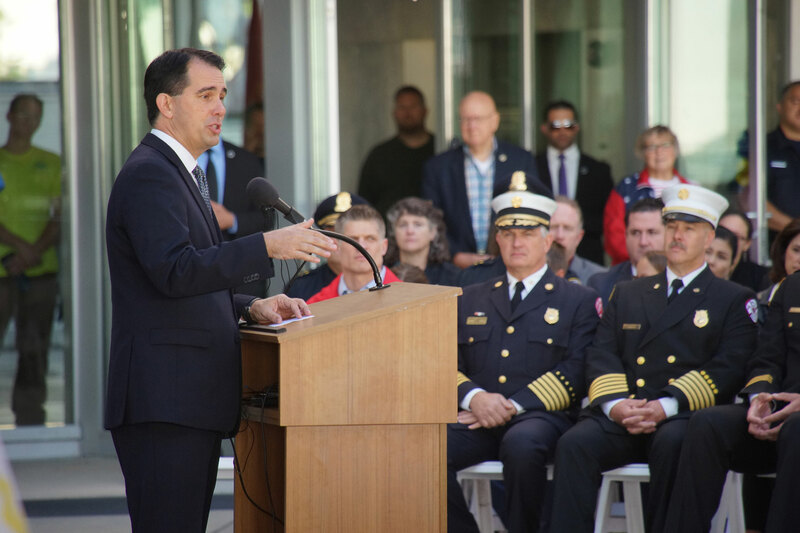 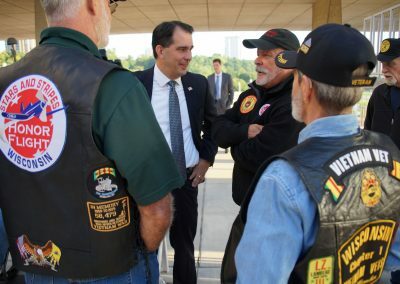 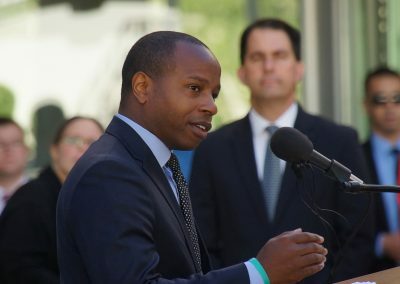 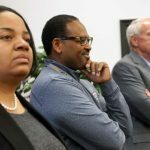 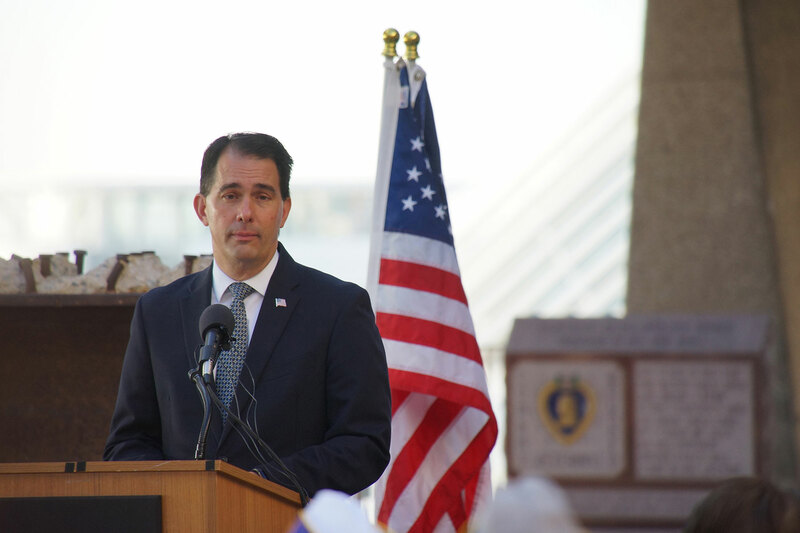 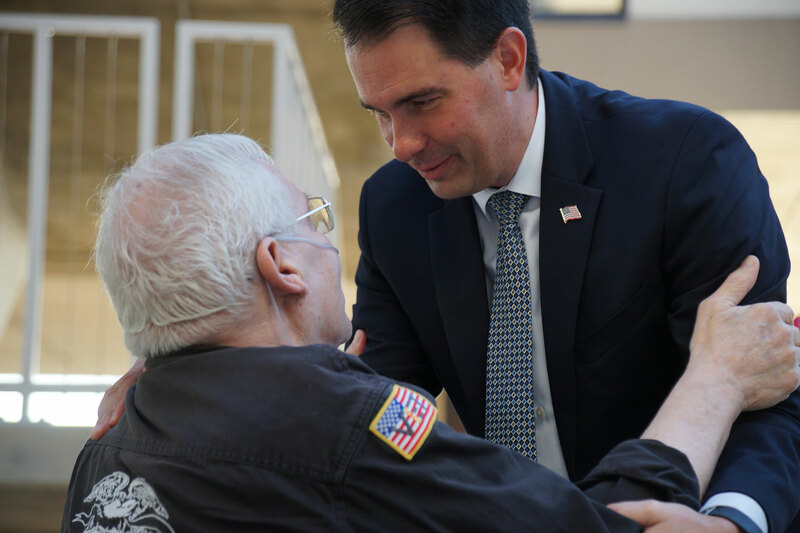 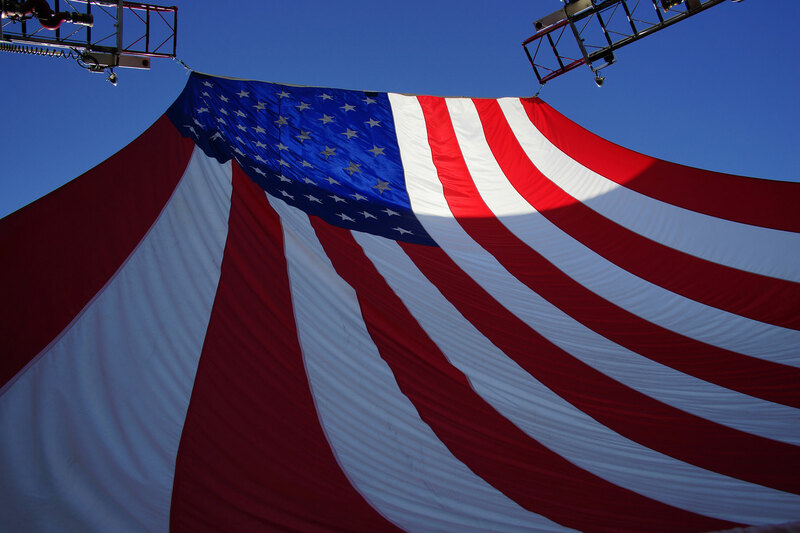 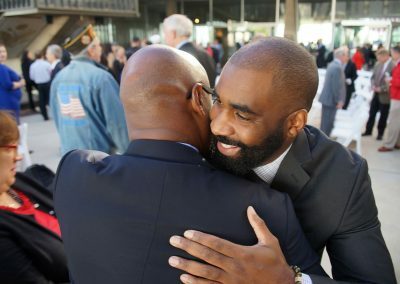 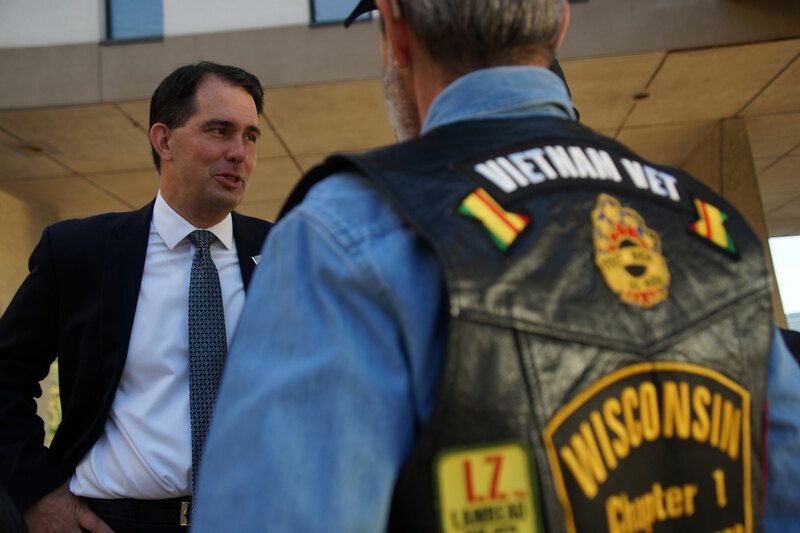 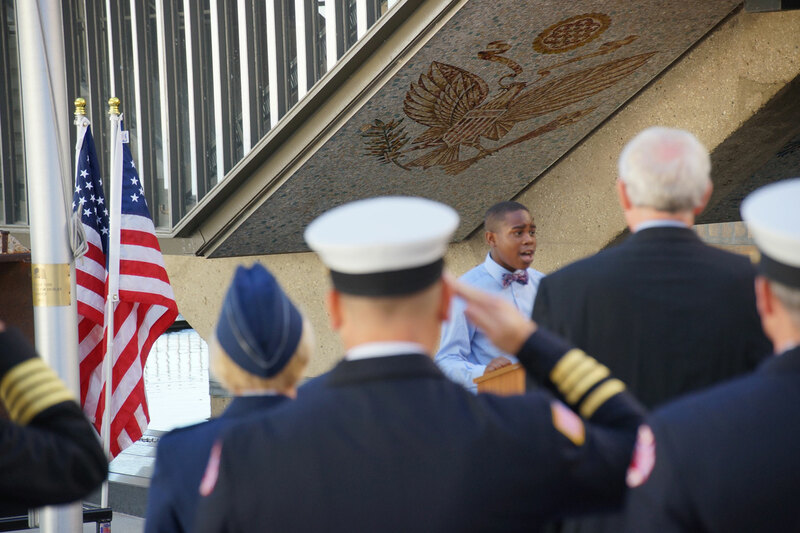 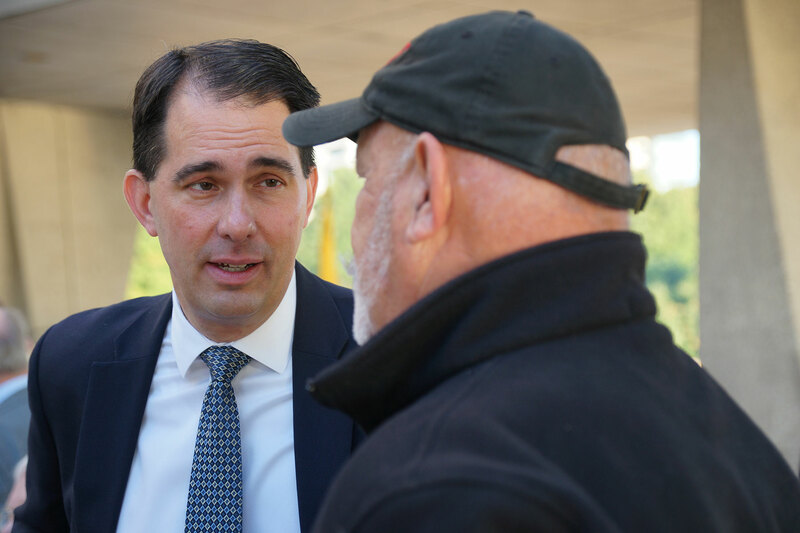 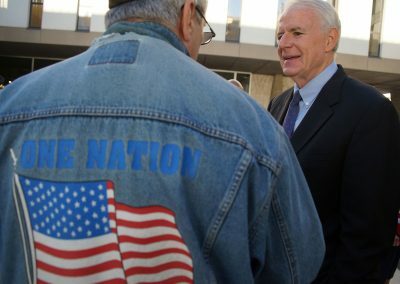 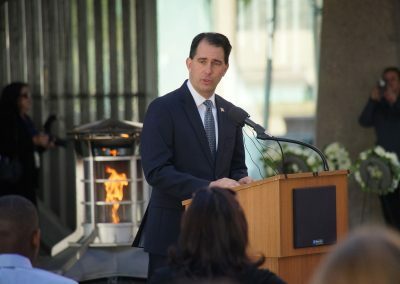 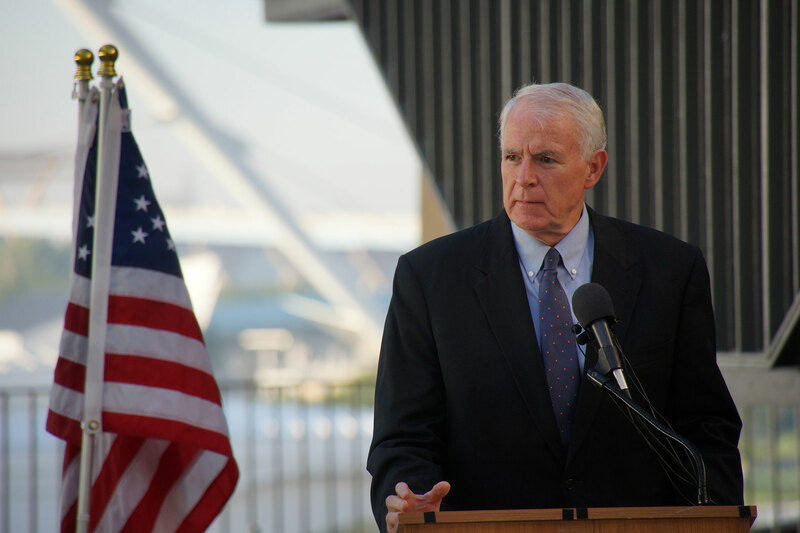 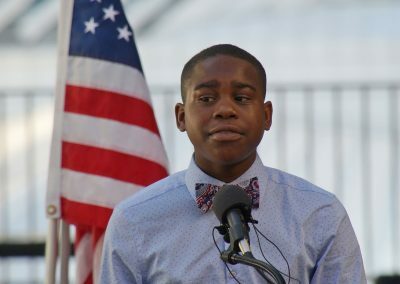 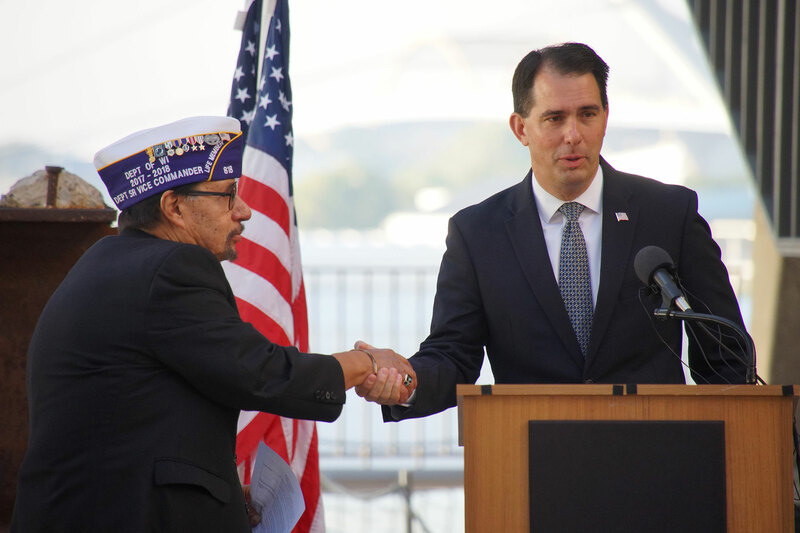 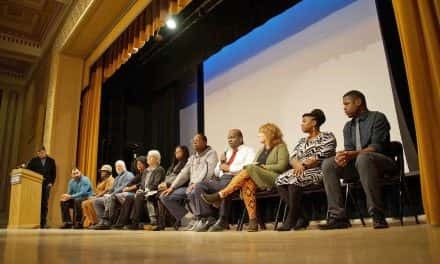 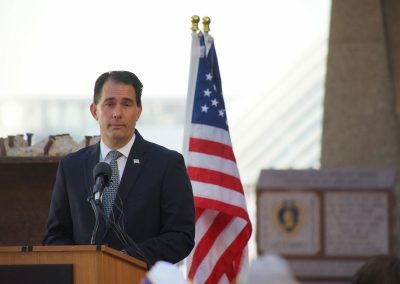 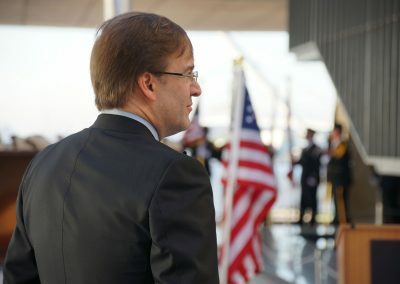 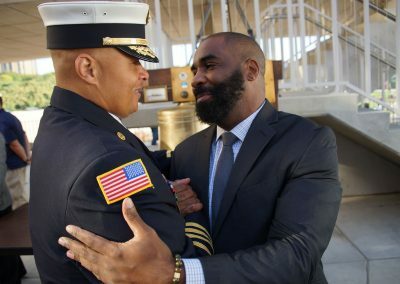 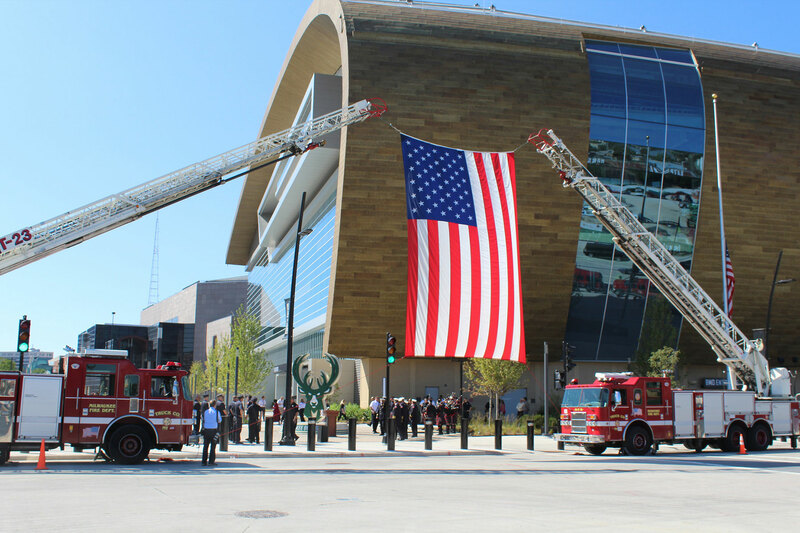 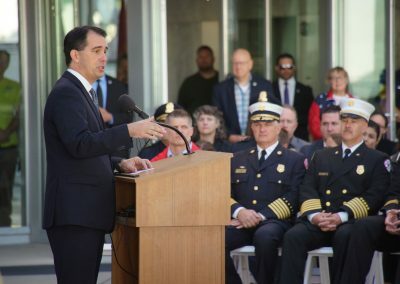 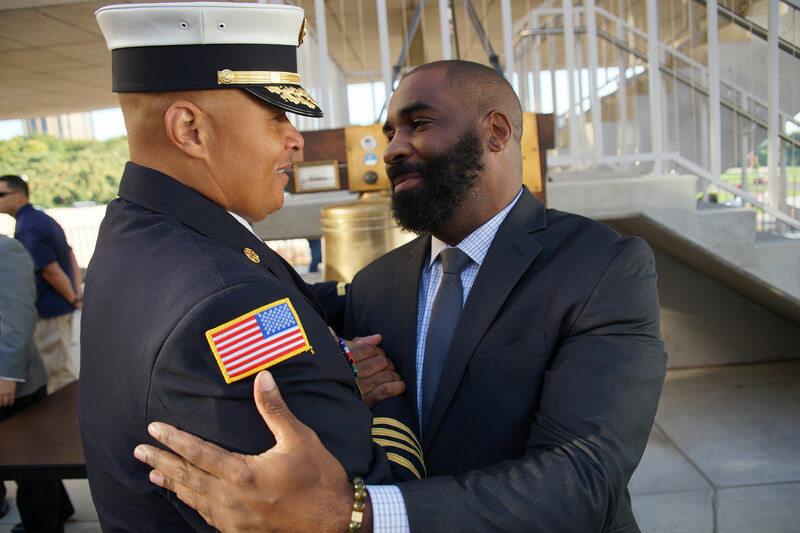 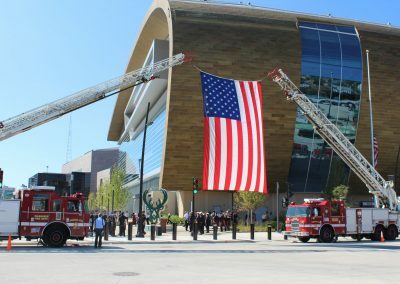 Local and state leaders, military officials and veterans, police and fire department members, and the Milwaukee community honored the victims of the September 11th, 2001 terrorist attacks. 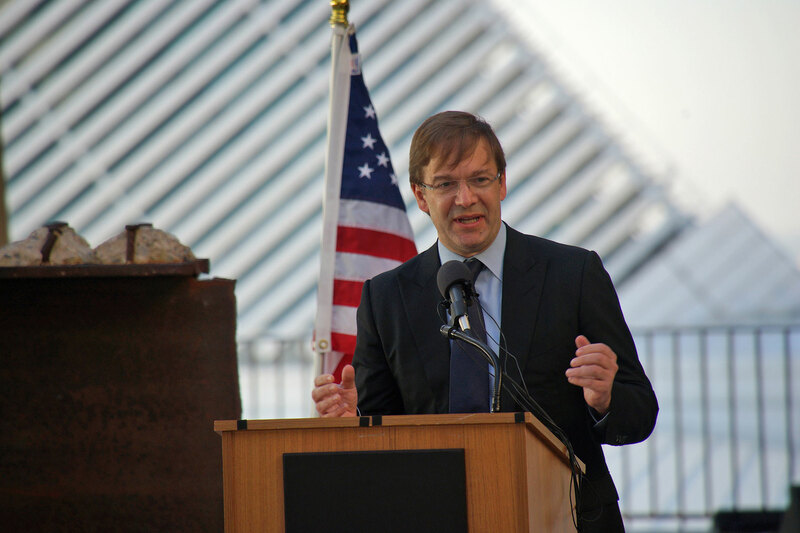 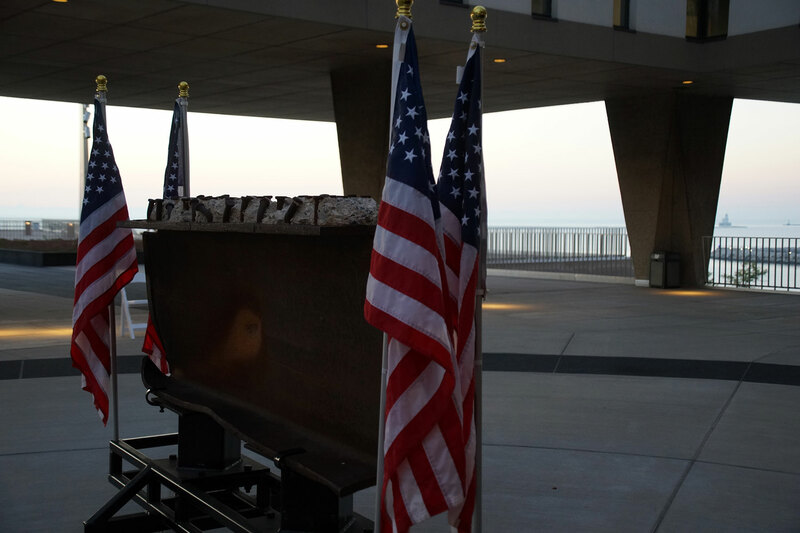 A central part of the memorial display, as it has been for many years, was a piece of steel from the 9/11 destruction. 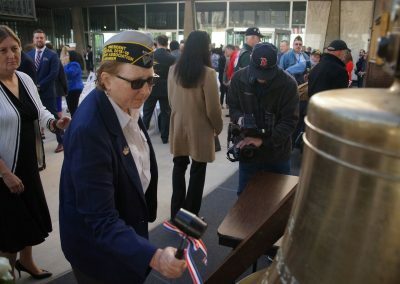 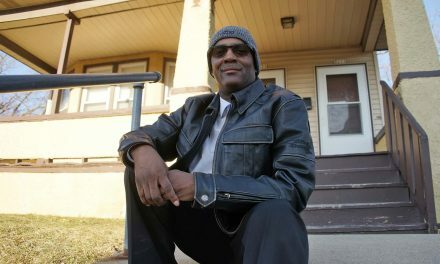 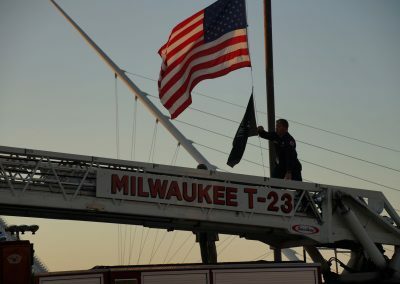 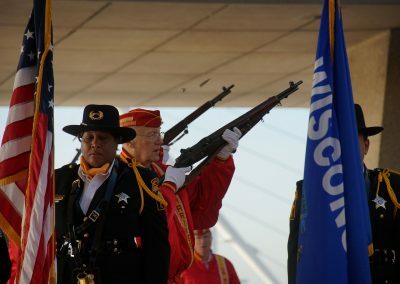 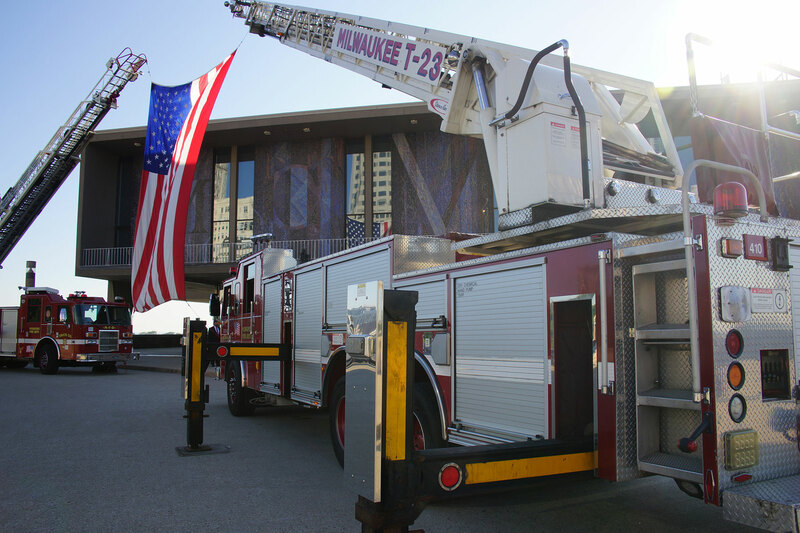 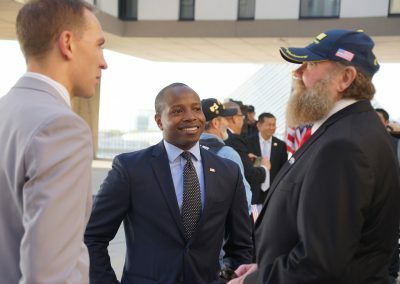 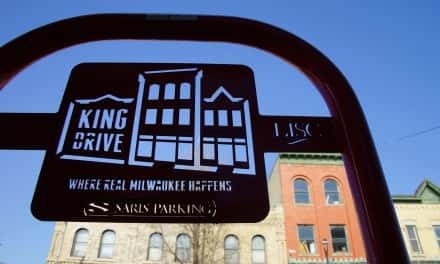 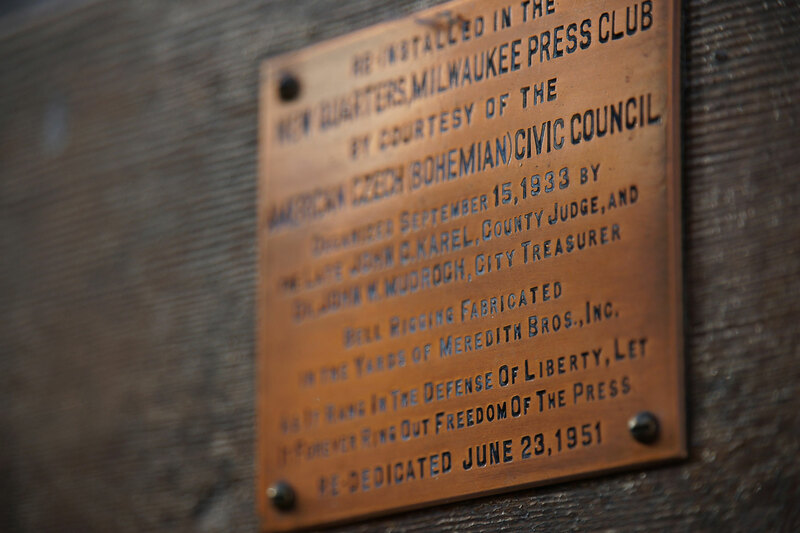 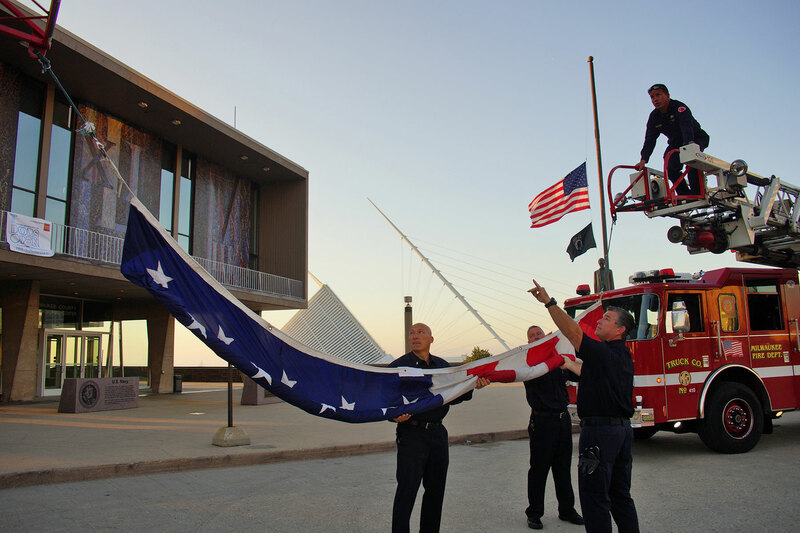 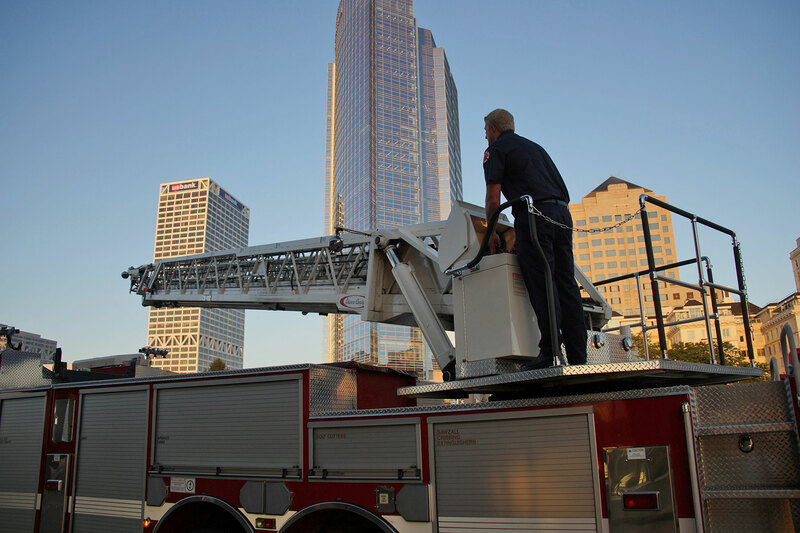 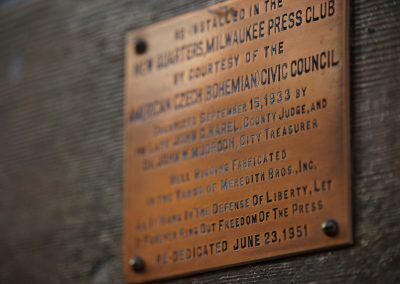 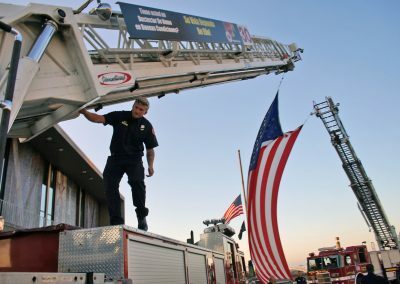 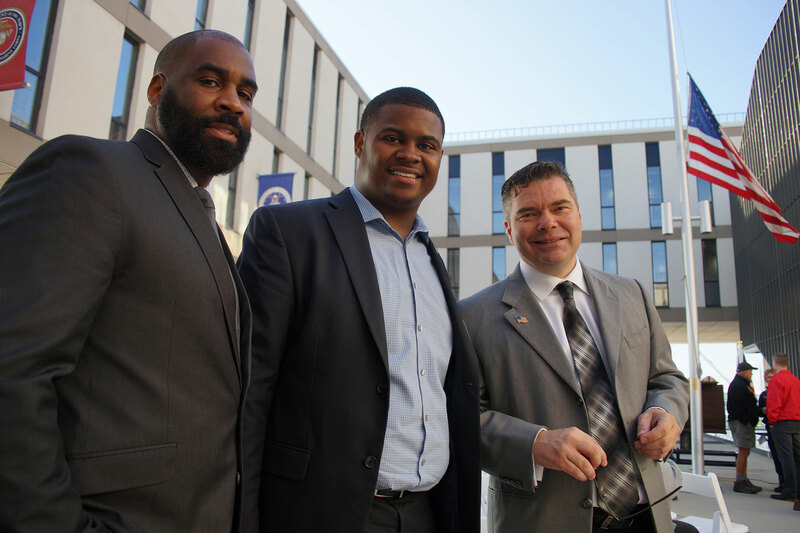 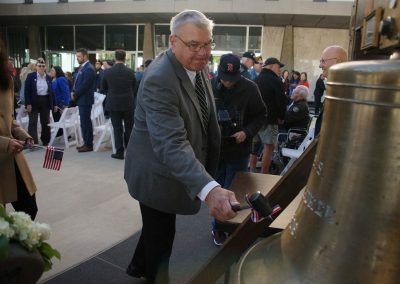 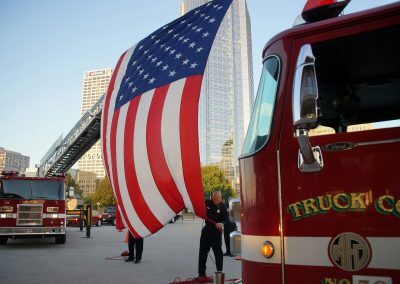 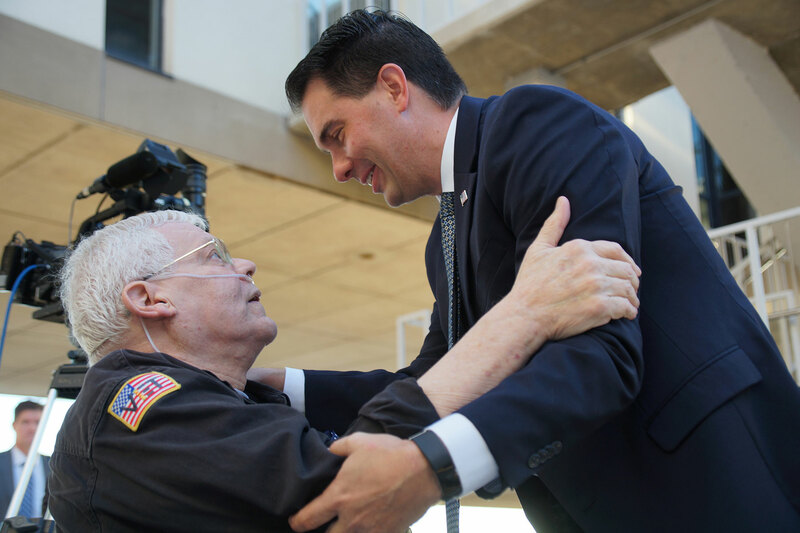 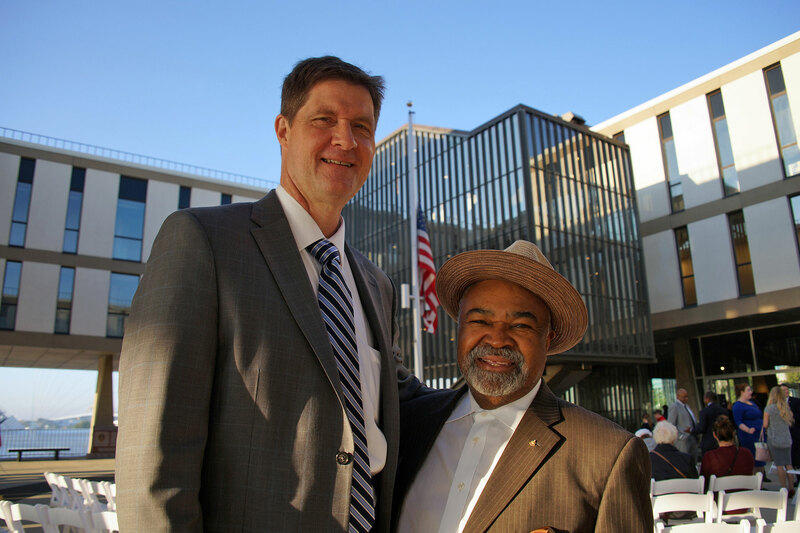 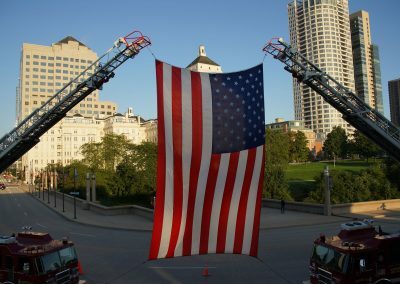 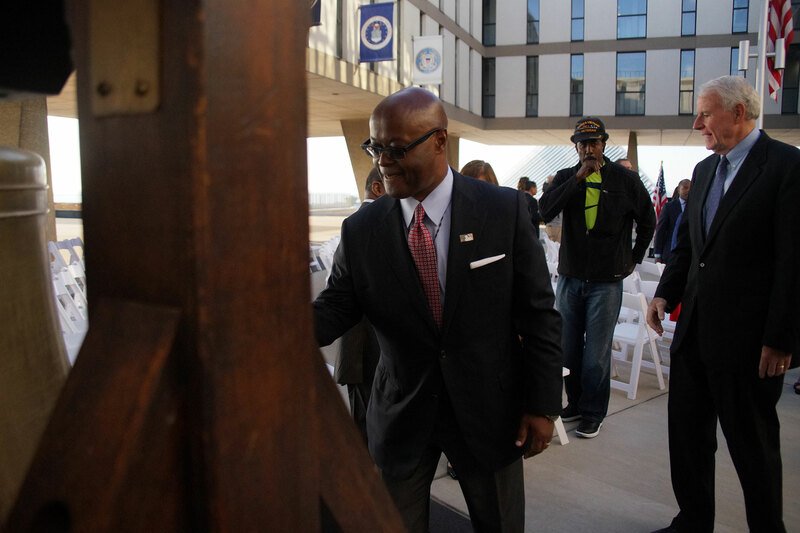 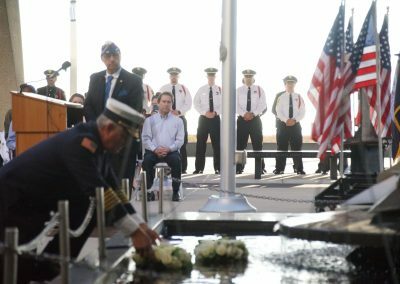 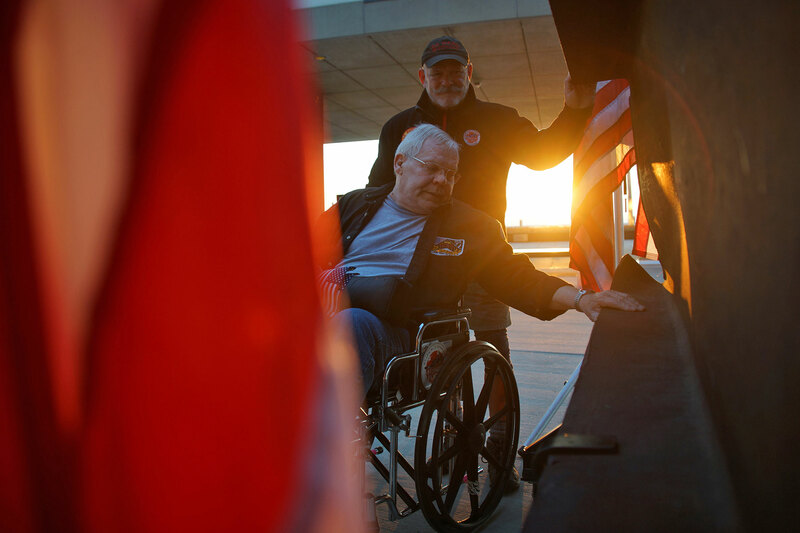 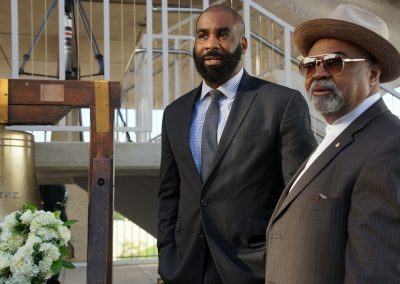 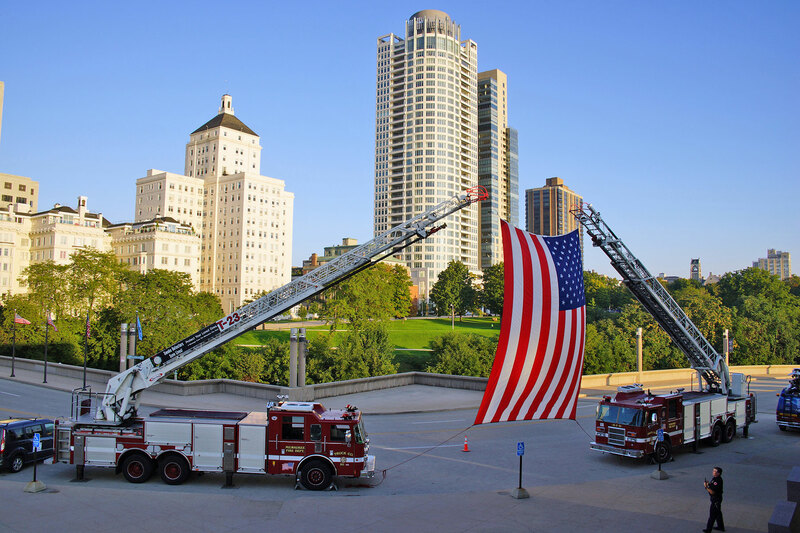 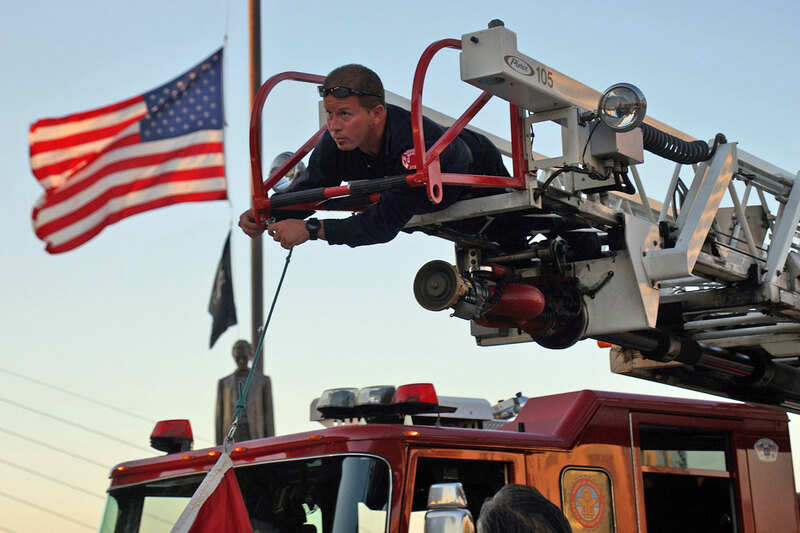 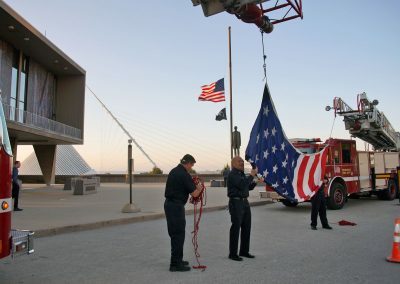 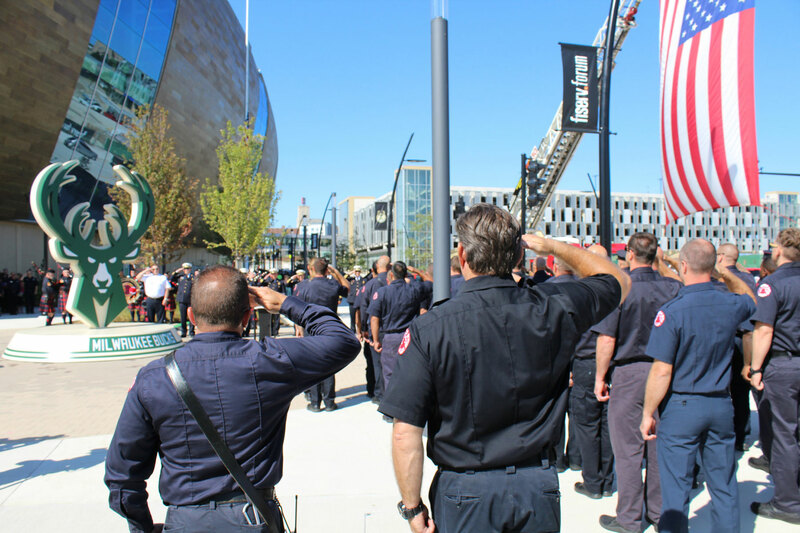 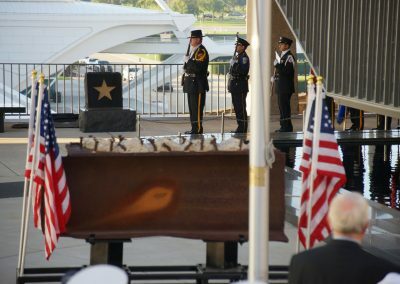 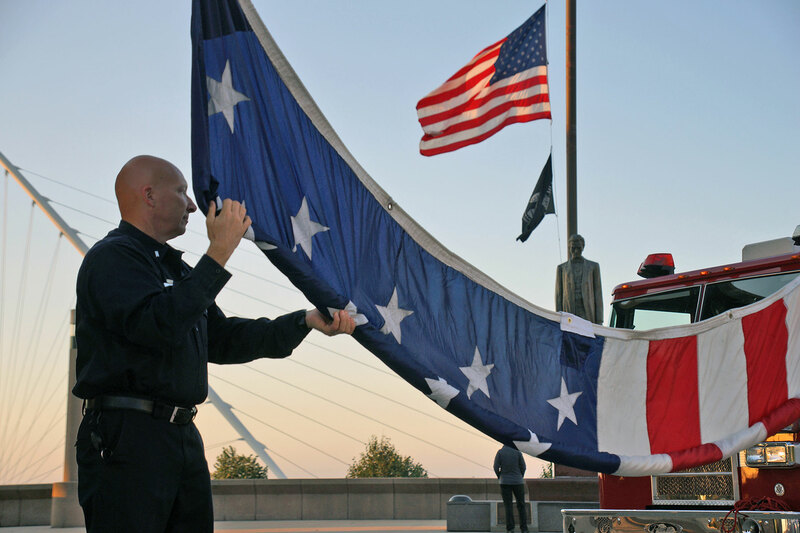 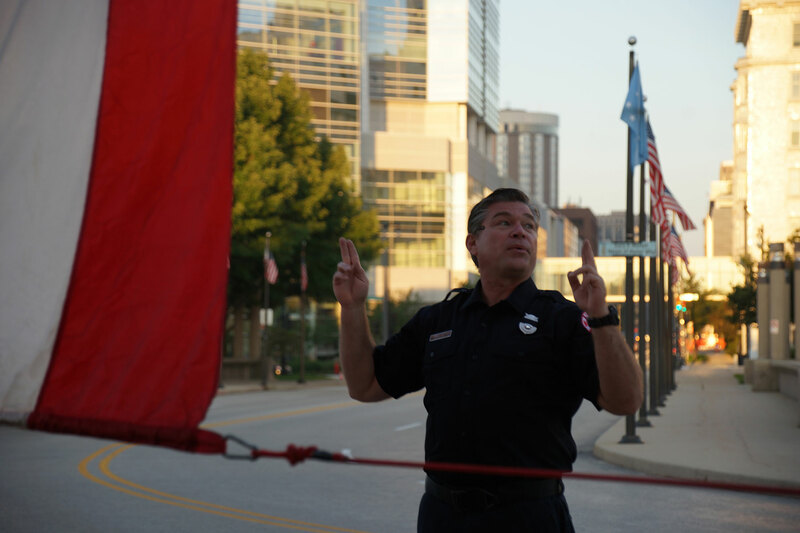 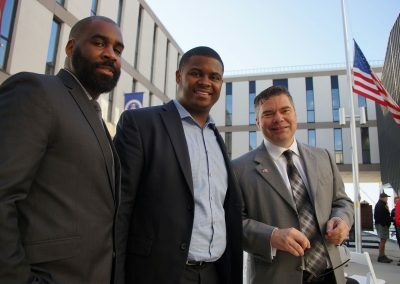 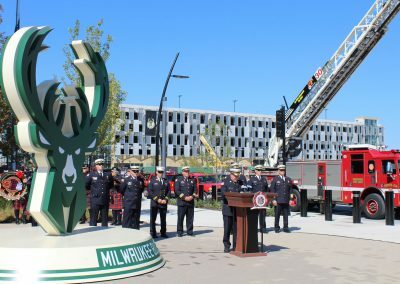 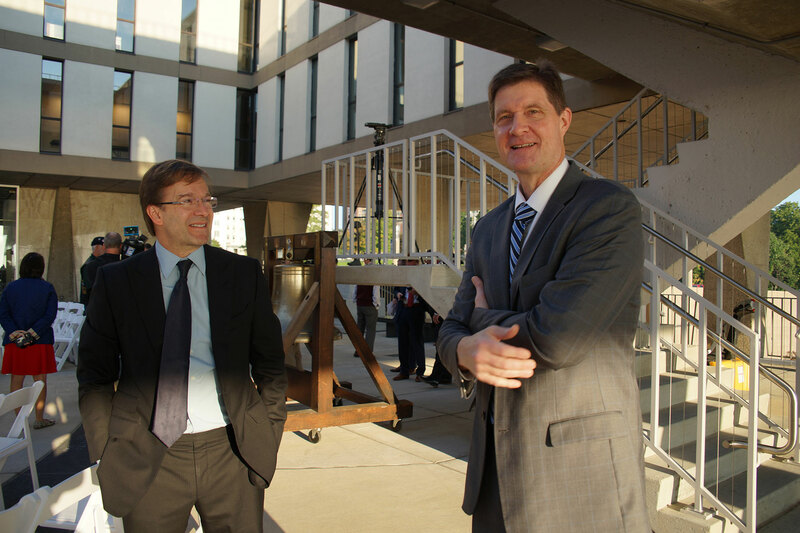 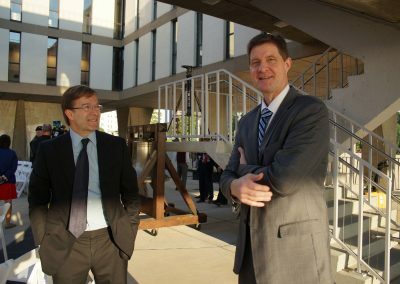 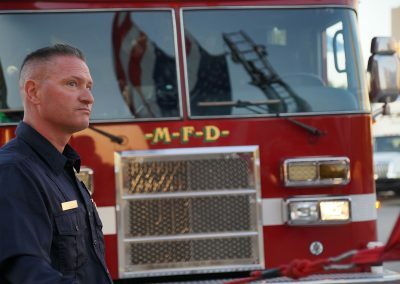 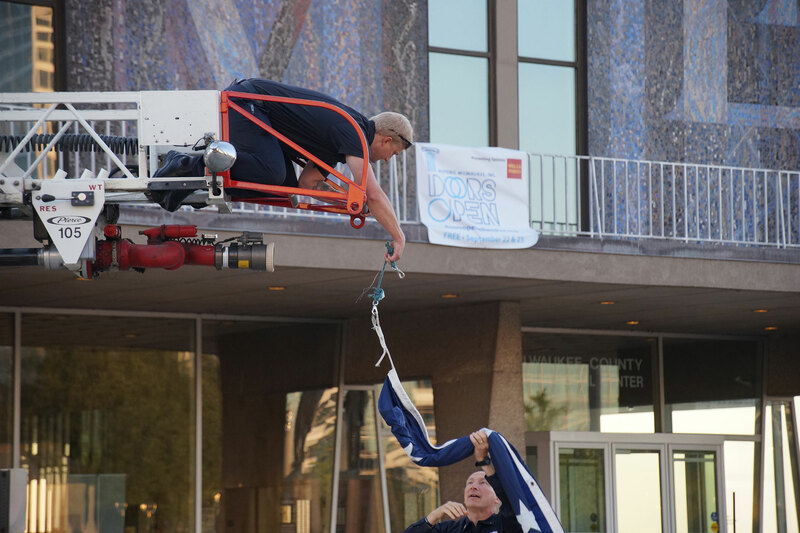 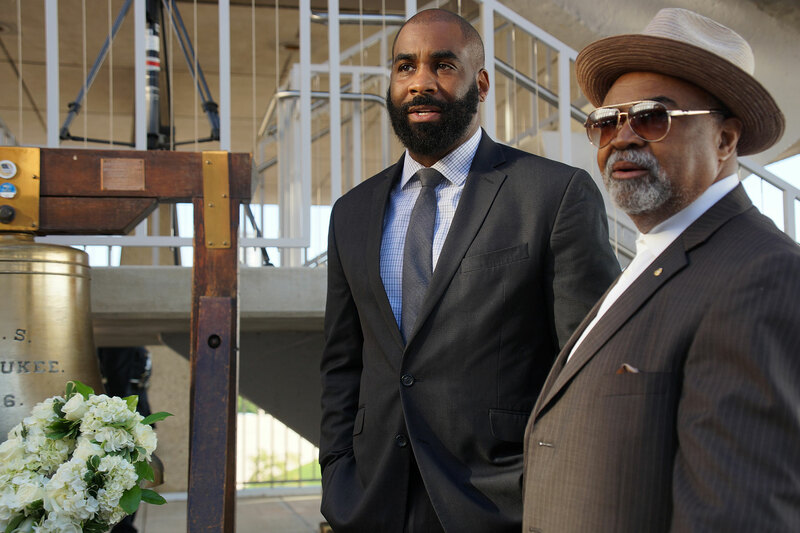 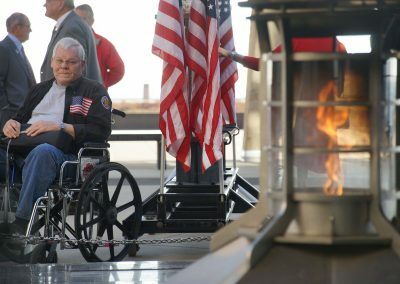 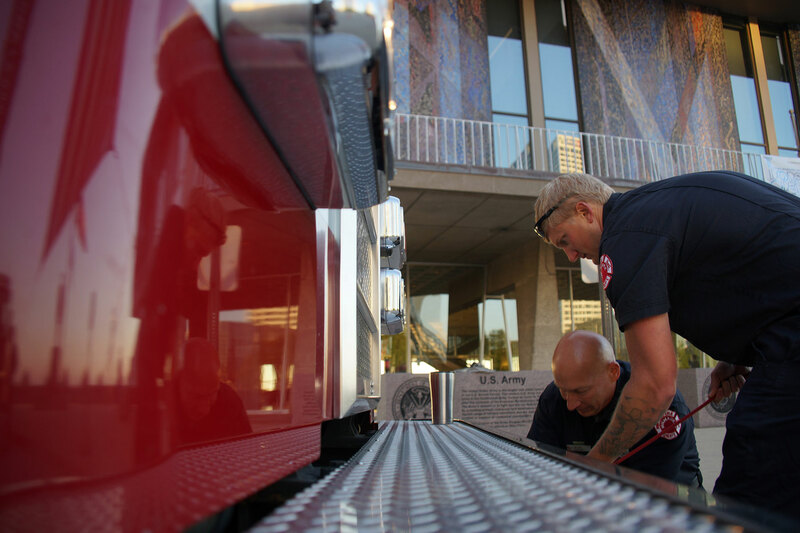 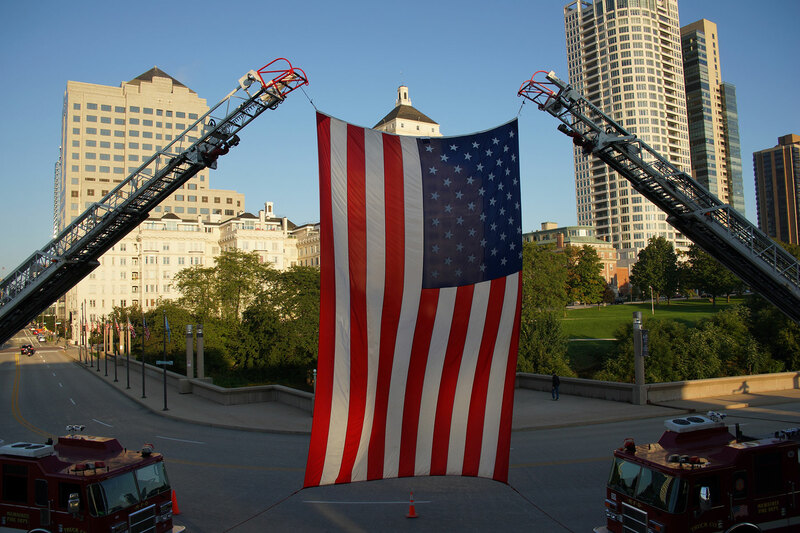 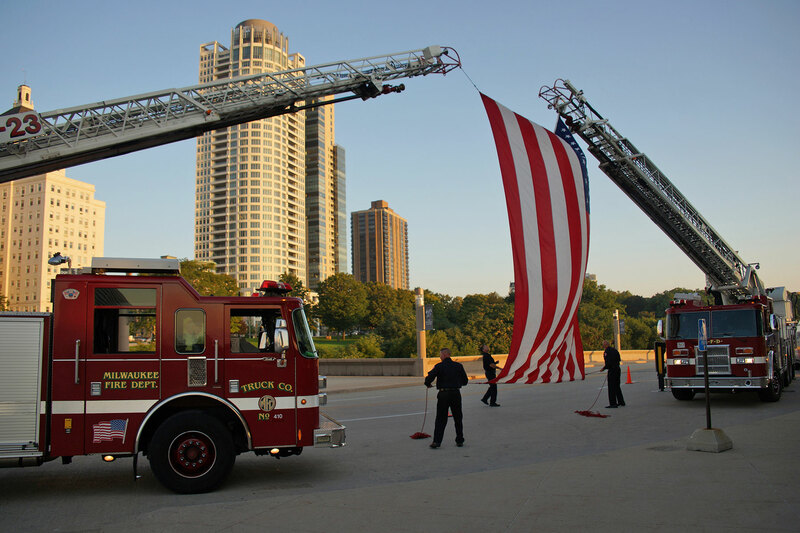 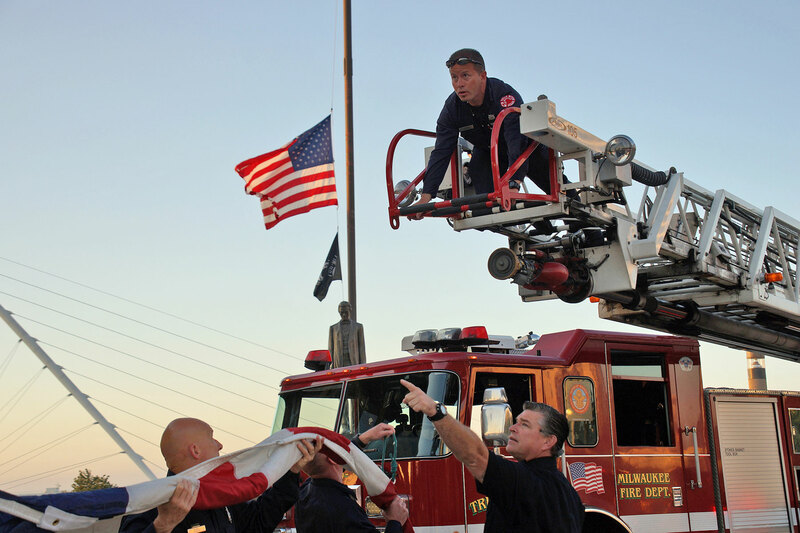 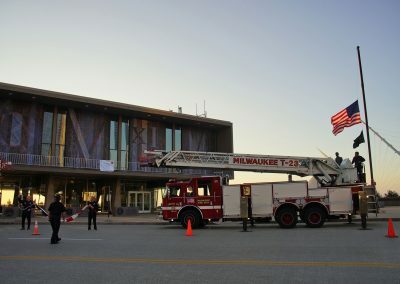 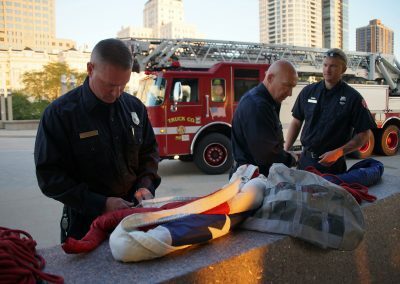 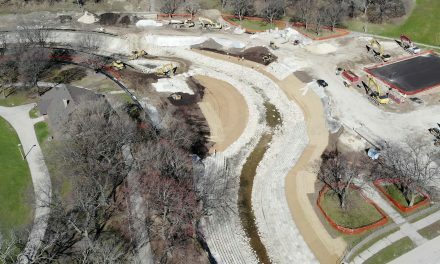 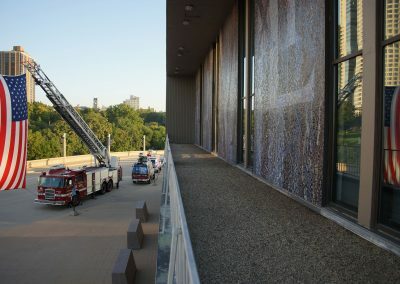 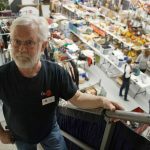 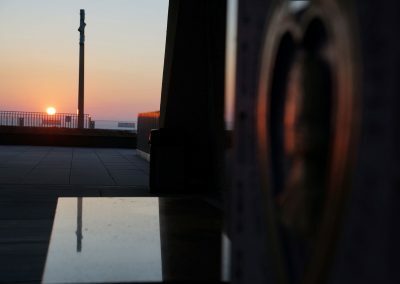 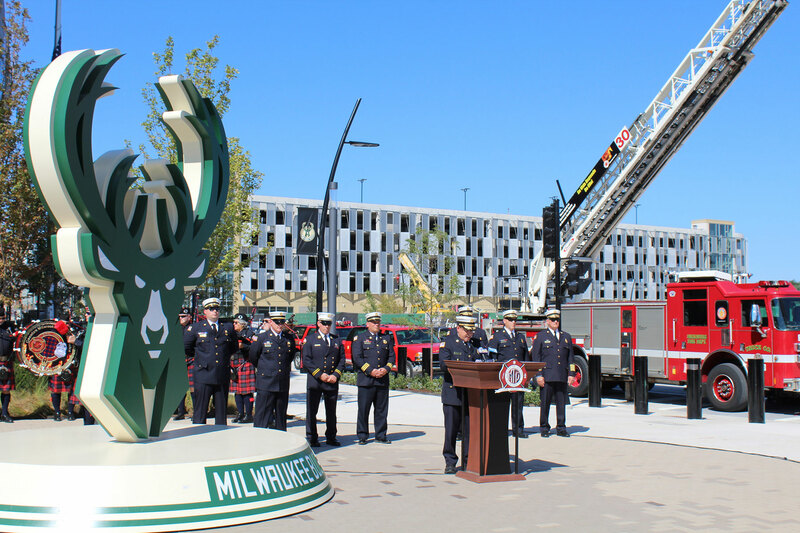 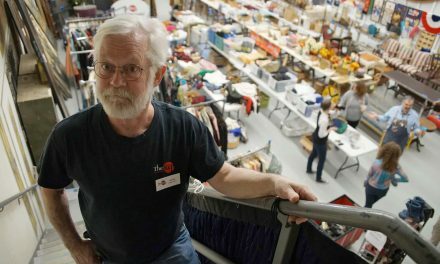 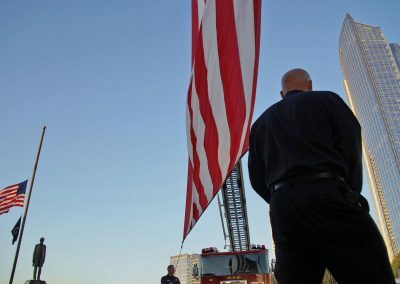 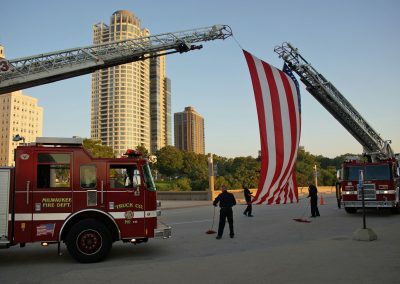 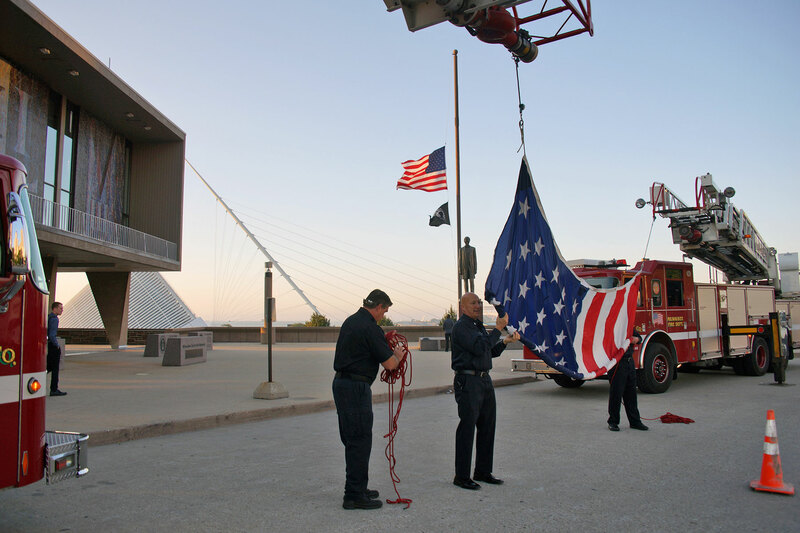 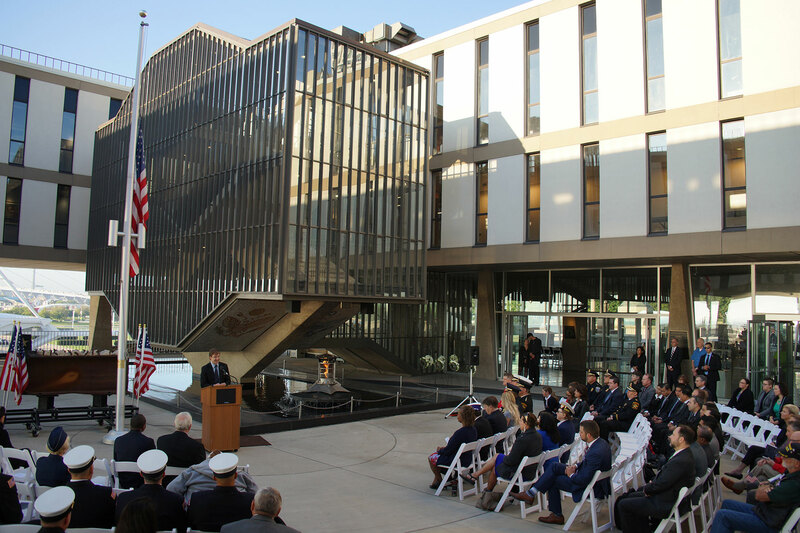 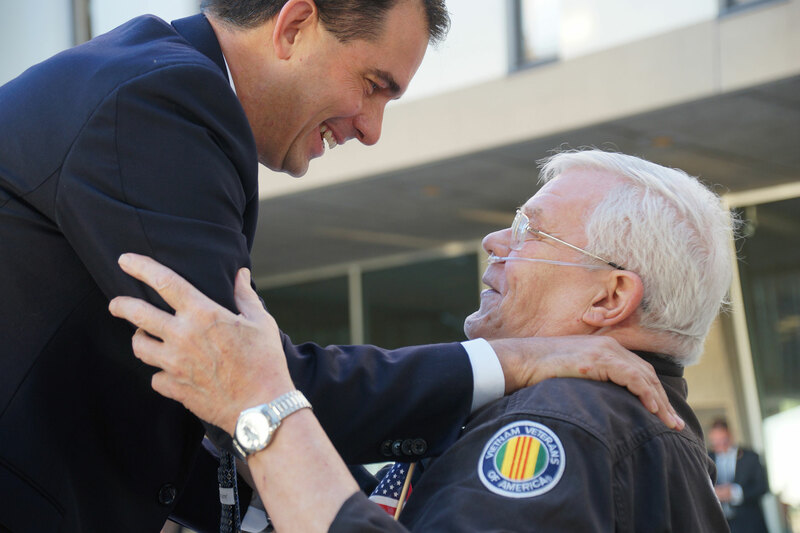 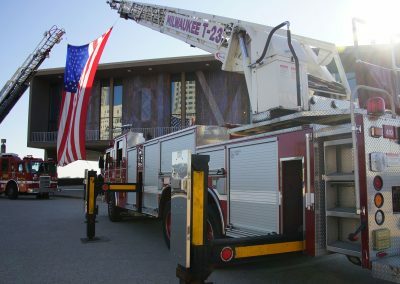 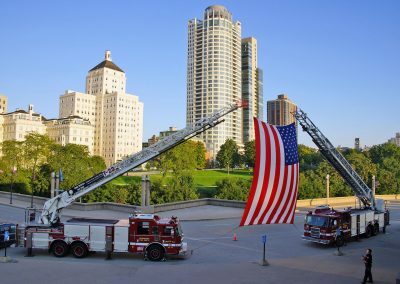 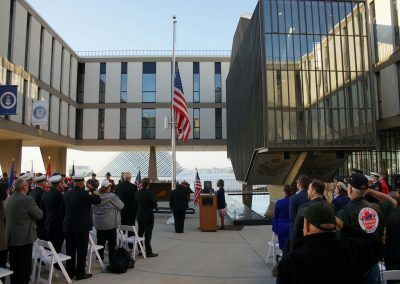 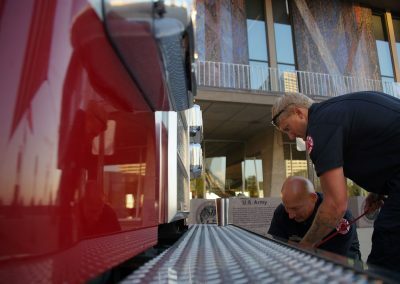 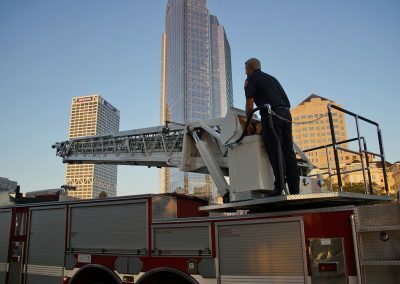 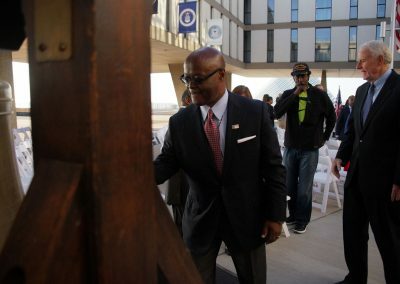 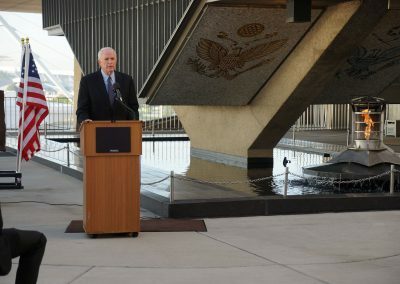 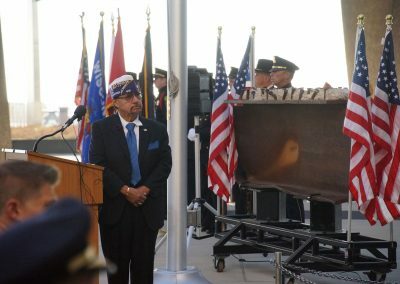 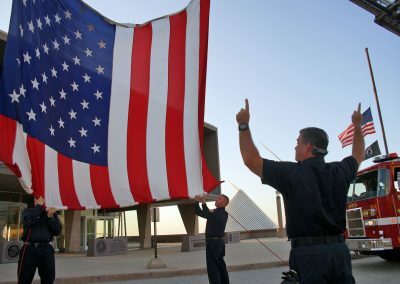 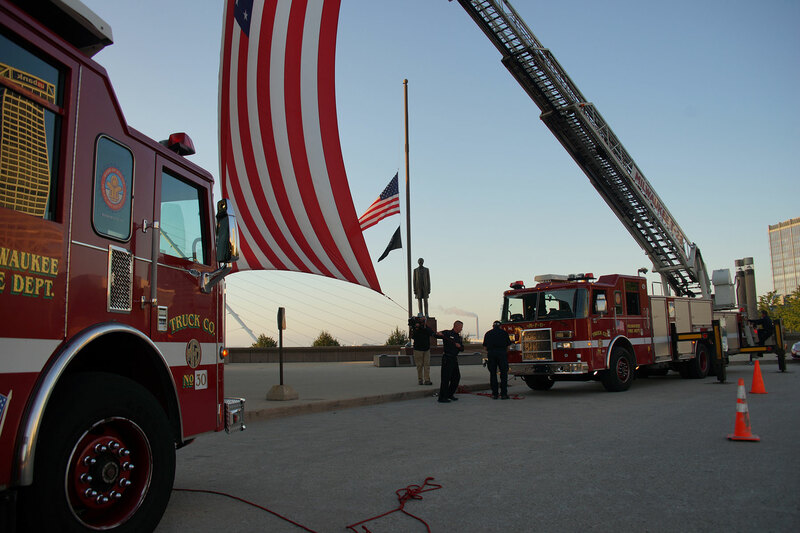 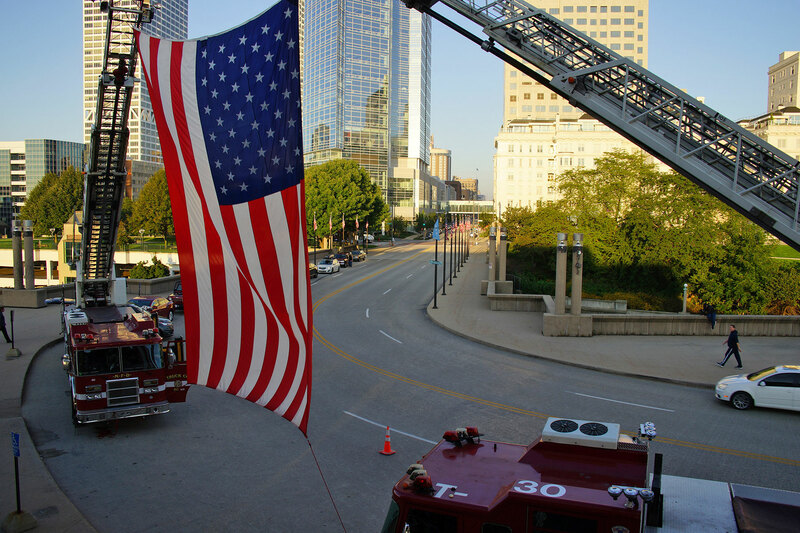 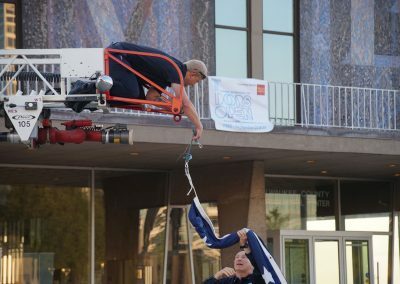 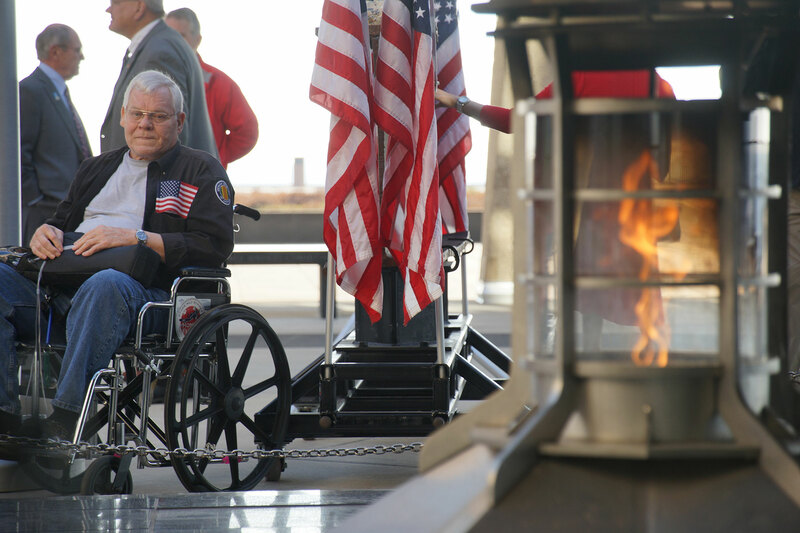 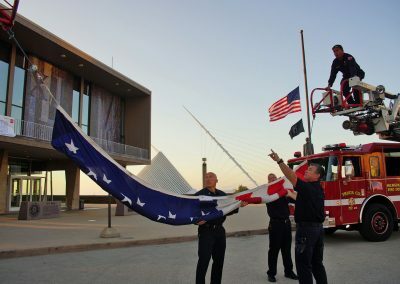 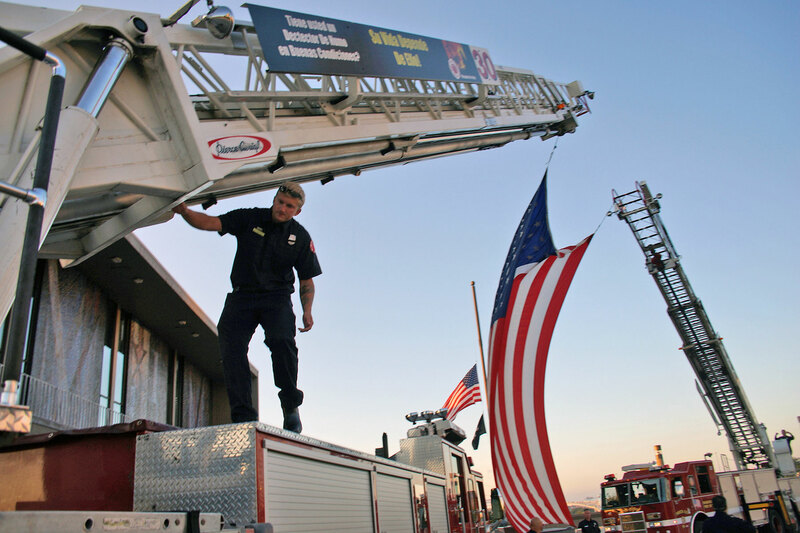 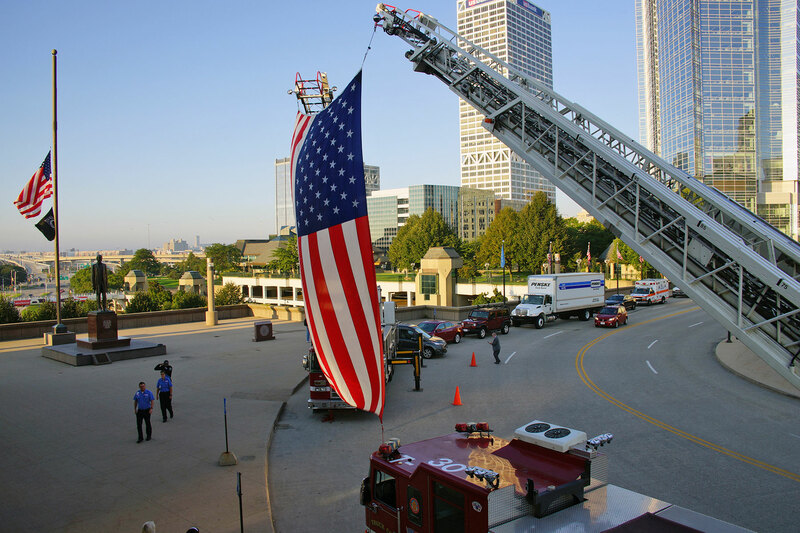 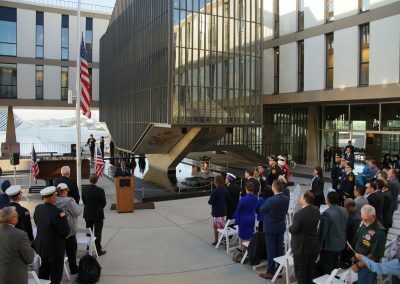 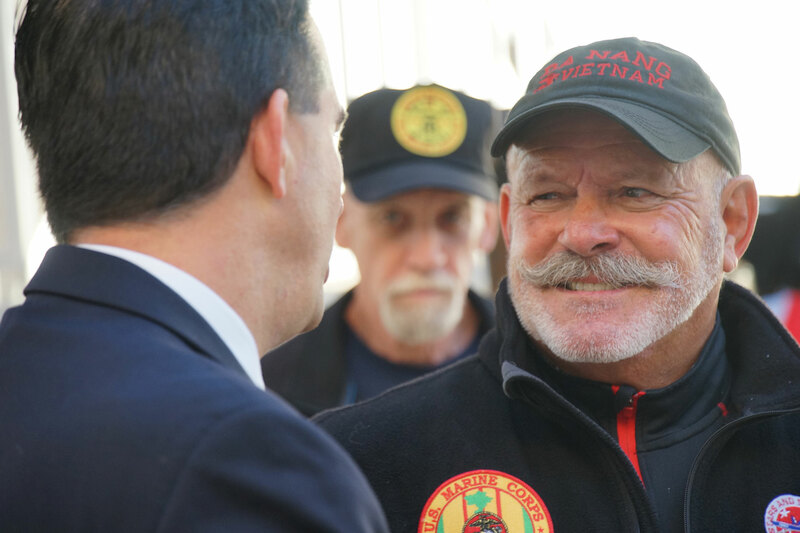 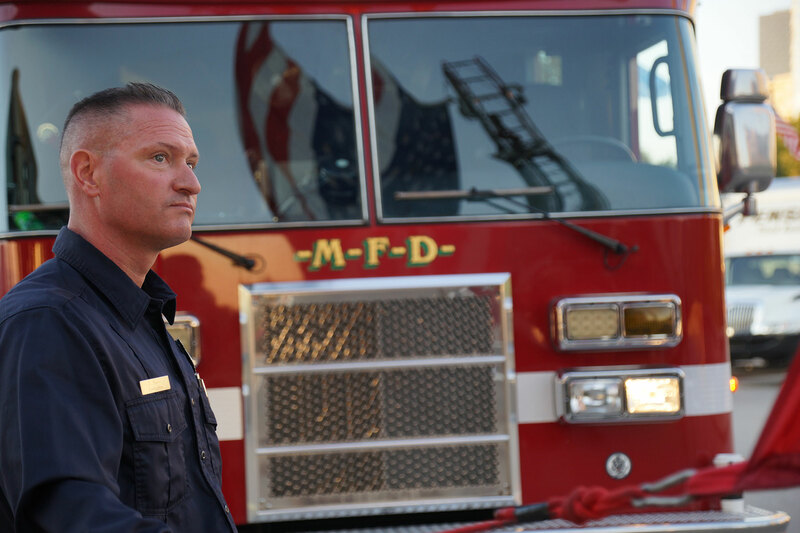 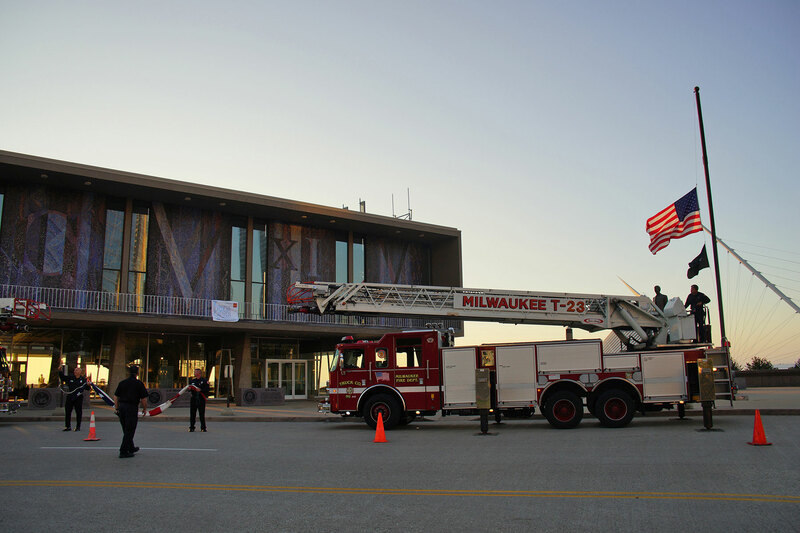 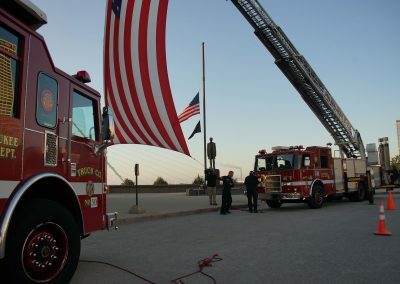 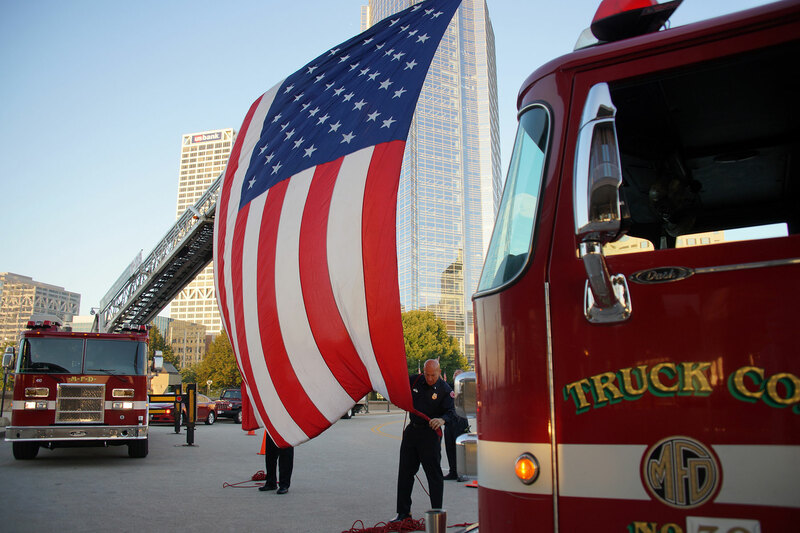 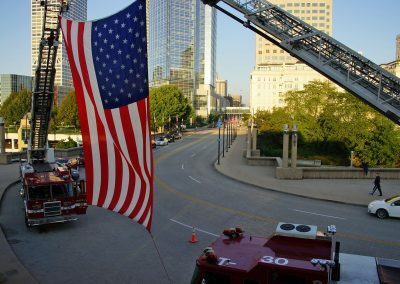 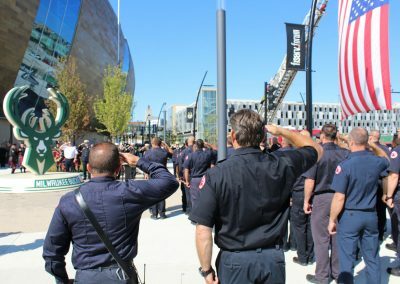 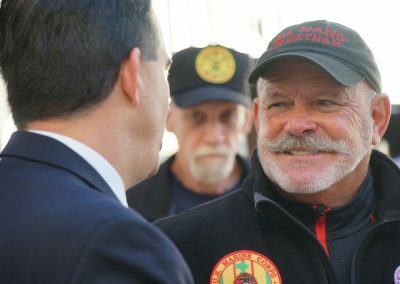 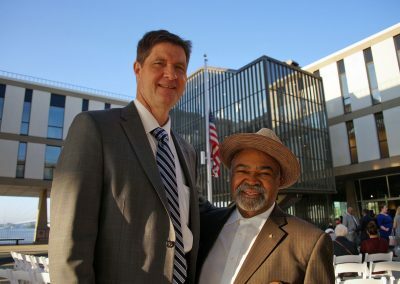 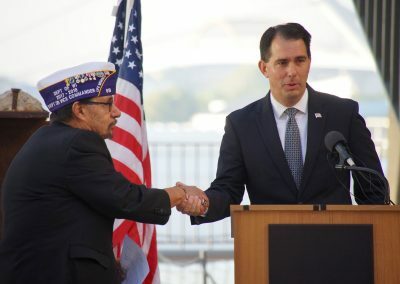 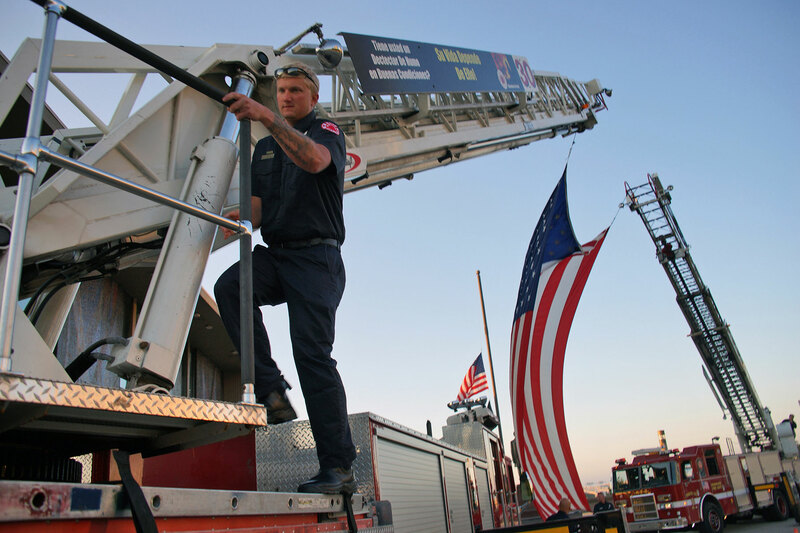 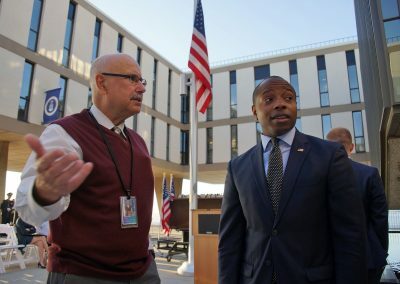 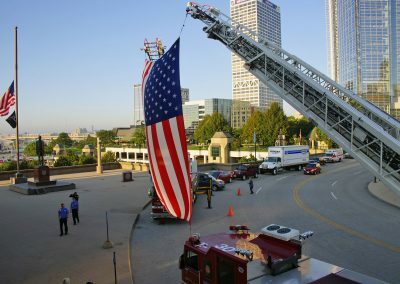 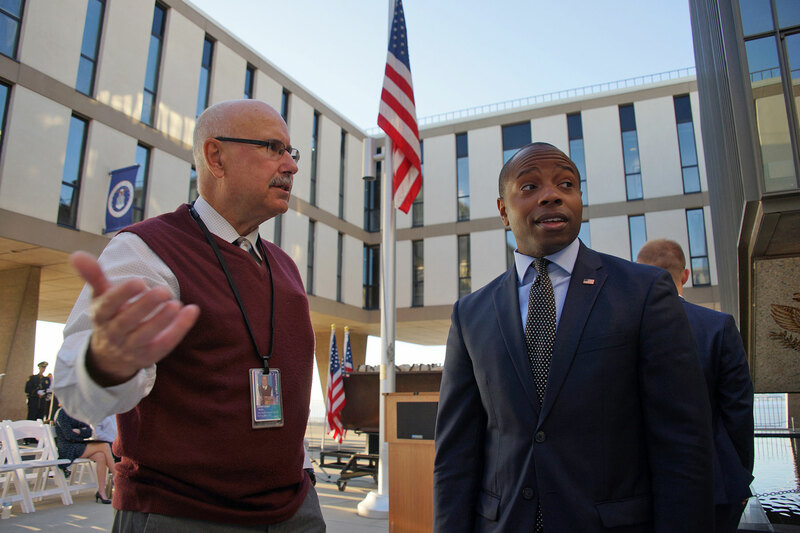 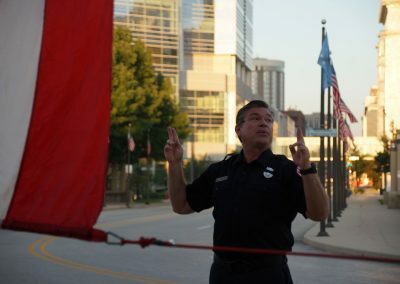 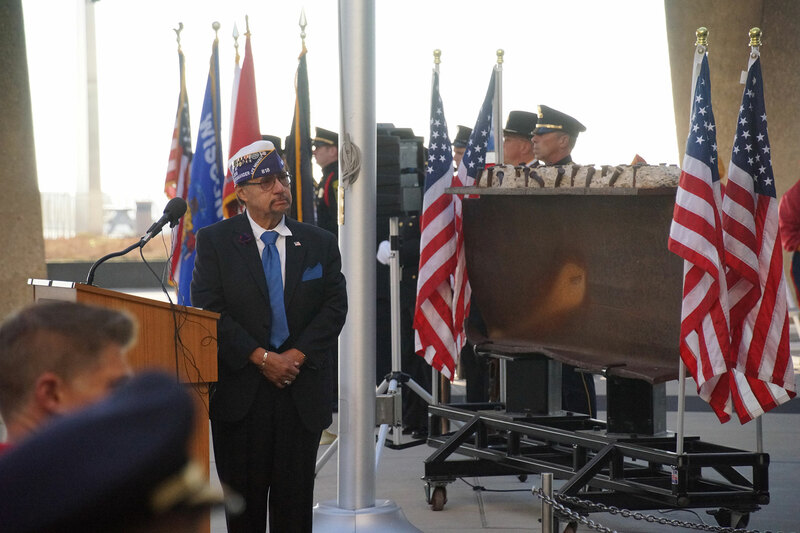 The support beam from a fallen skyscraper was brought back to Milwaukee from New York in 2011 by Vietnam veteran Joe Campbell and retired Milwaukee Fire Battalion Chief Mark Fox. 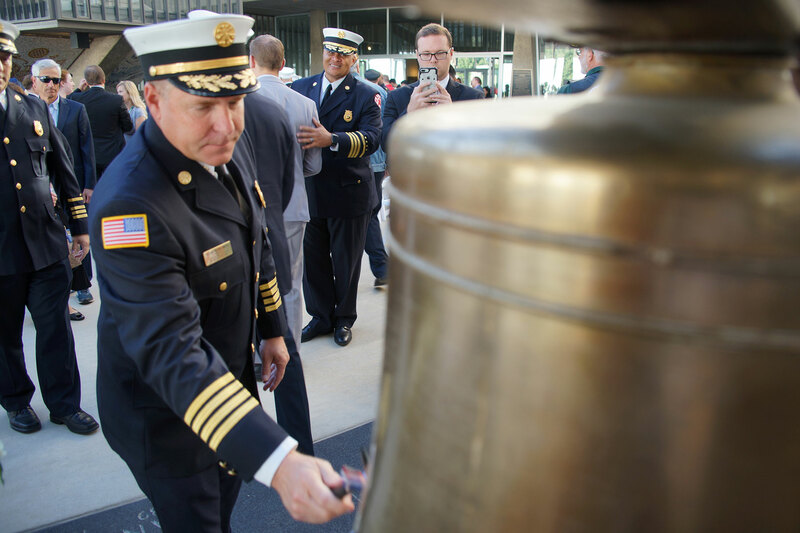 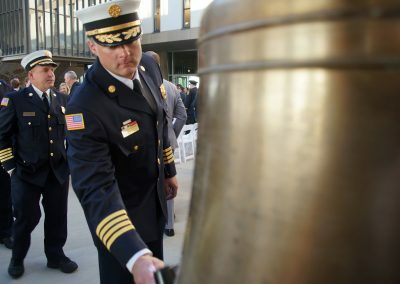 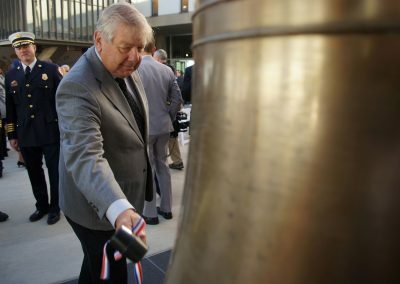 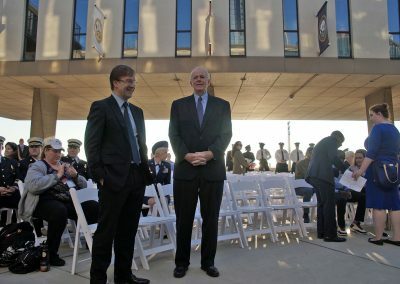 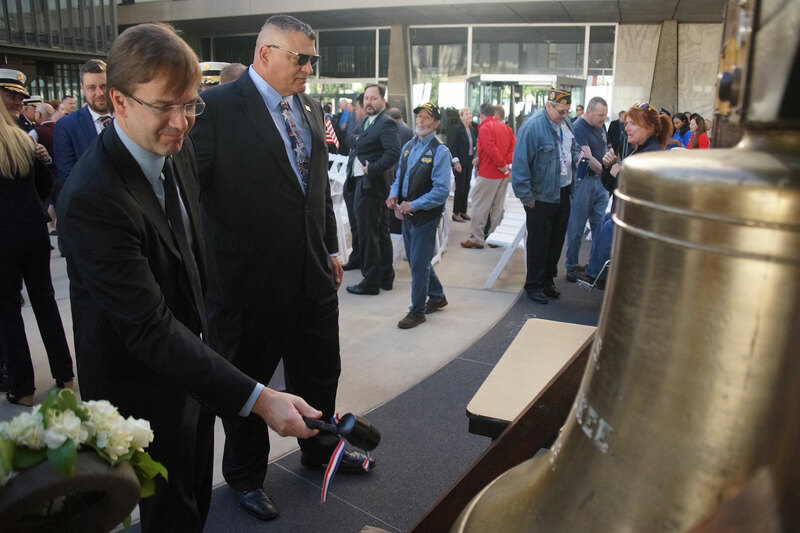 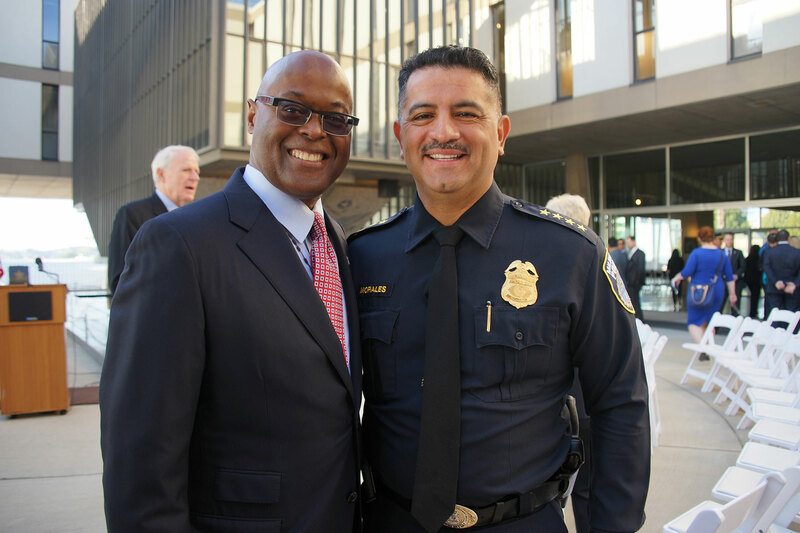 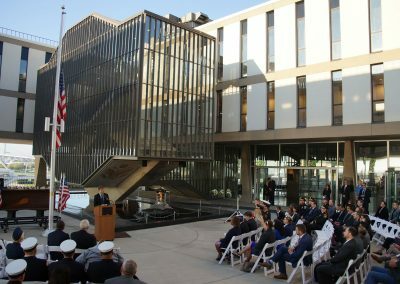 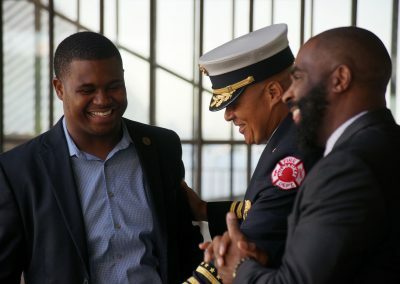 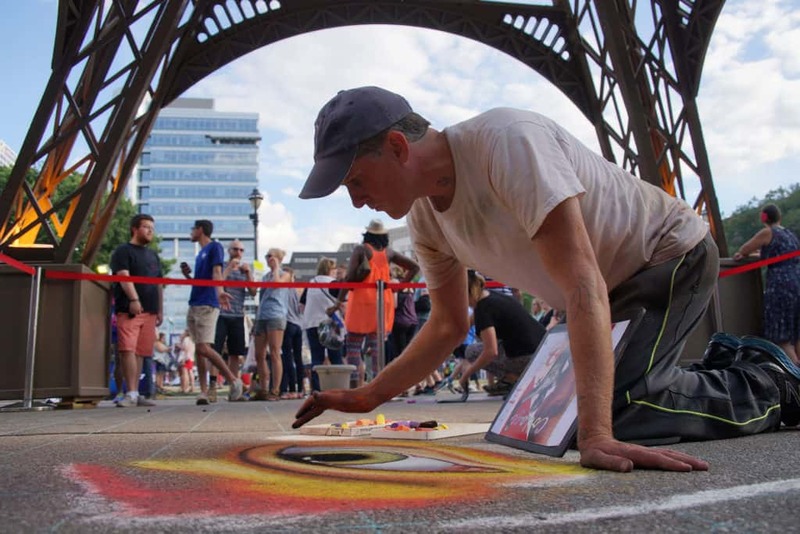 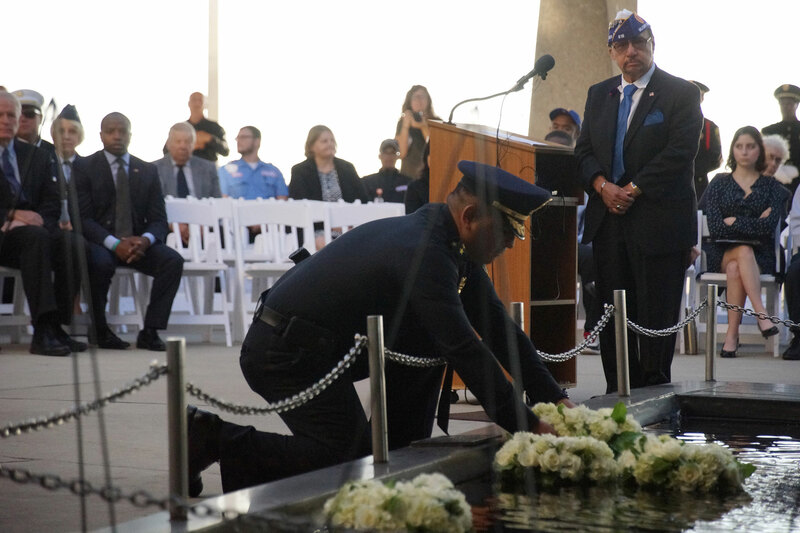 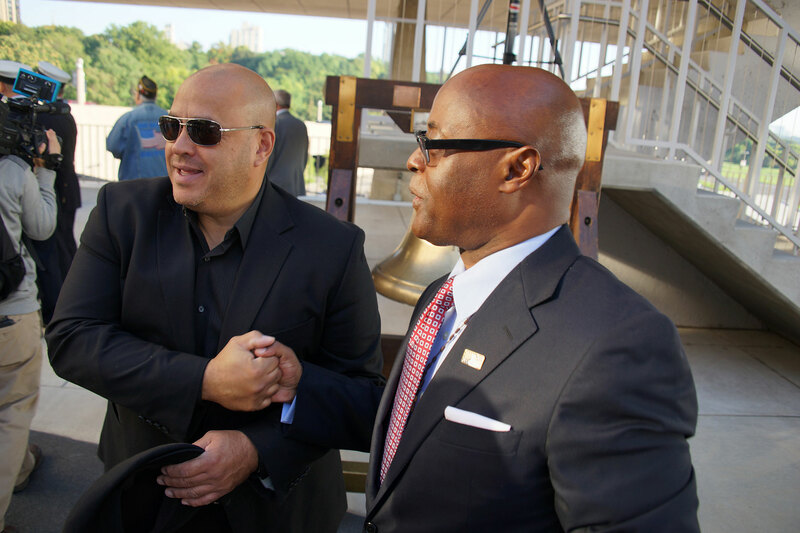 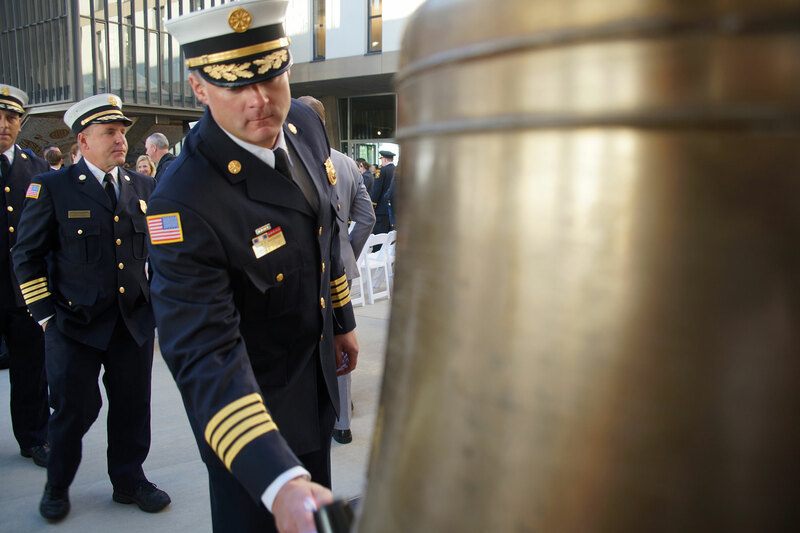 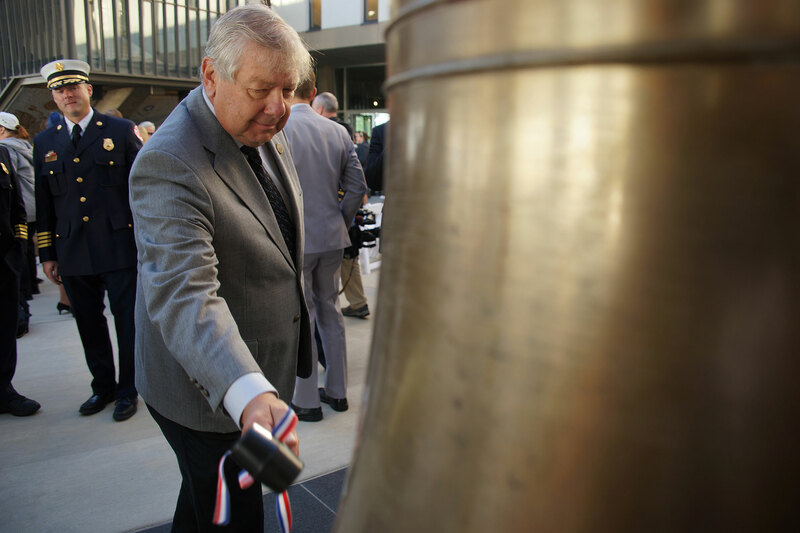 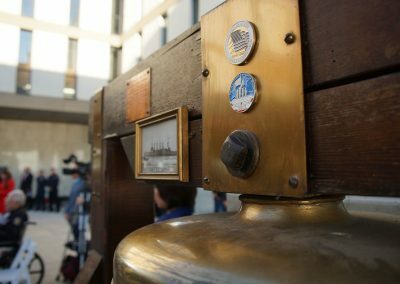 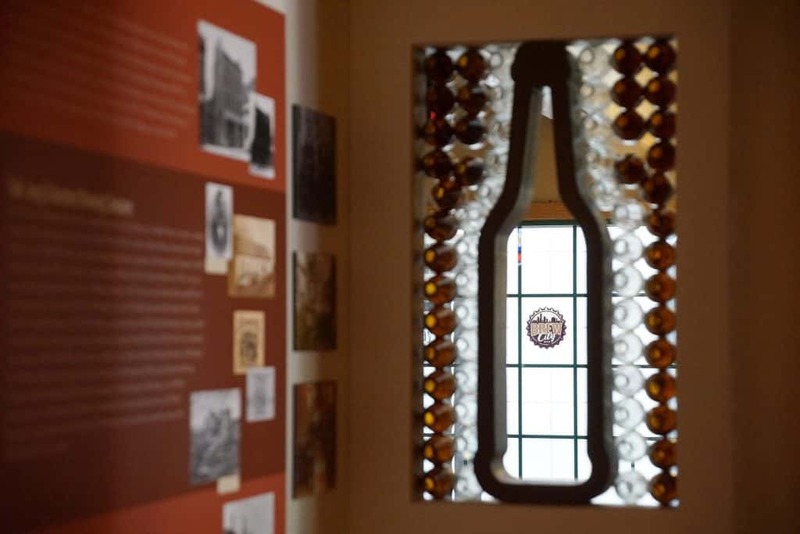 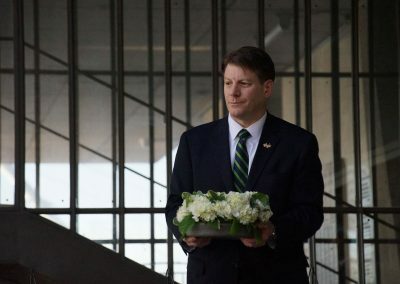 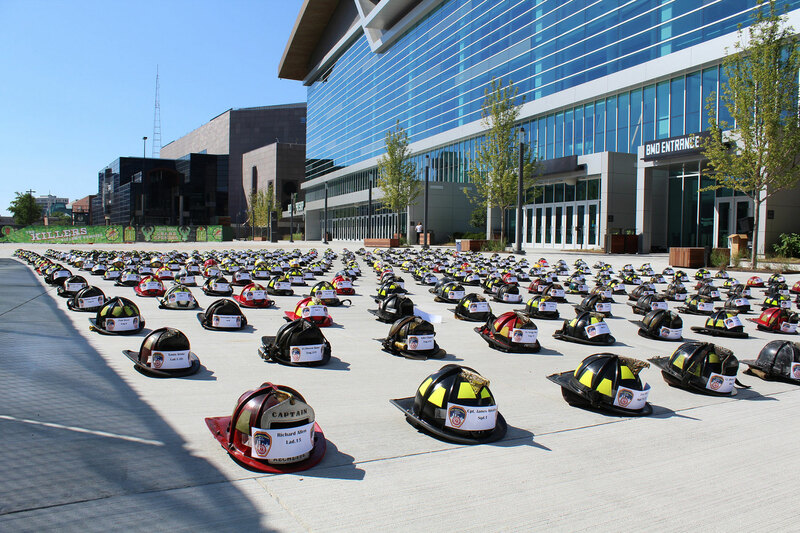 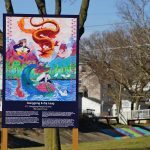 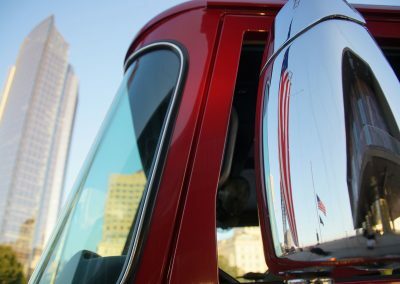 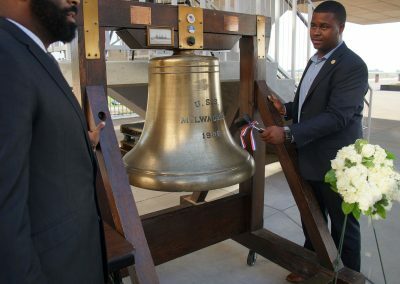 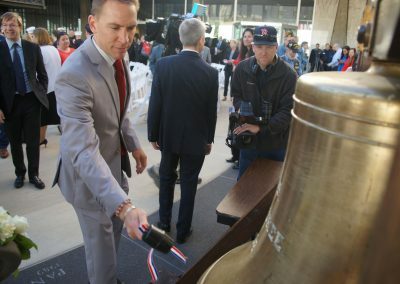 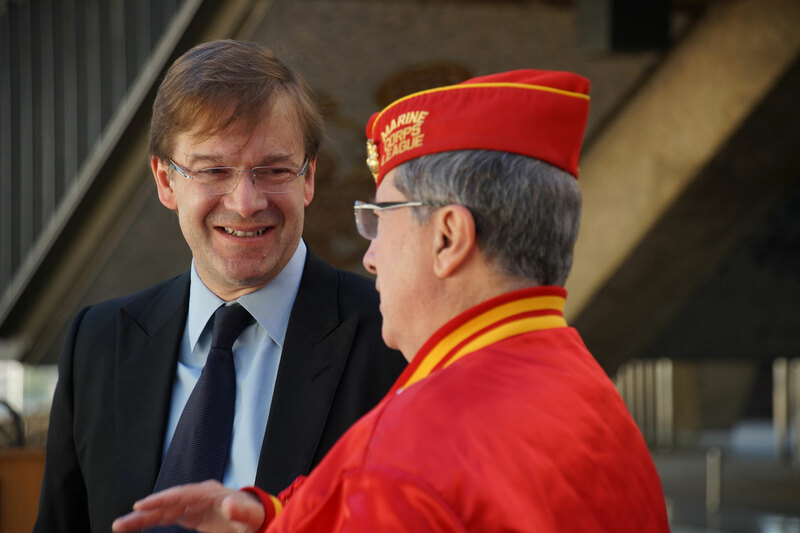 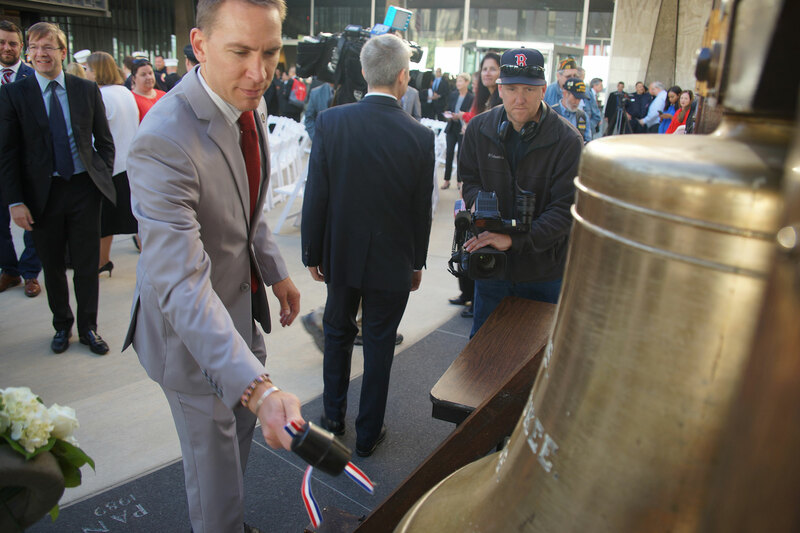 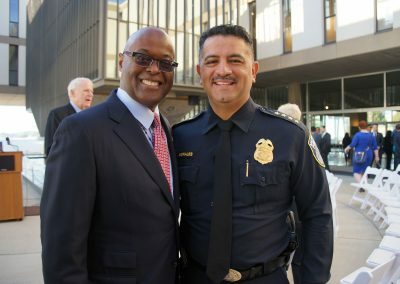 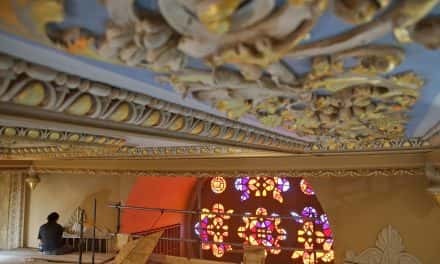 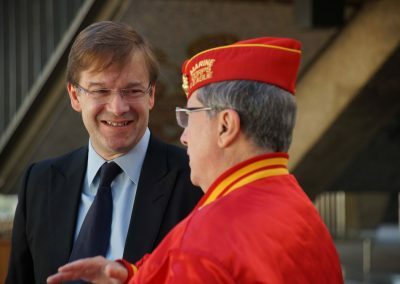 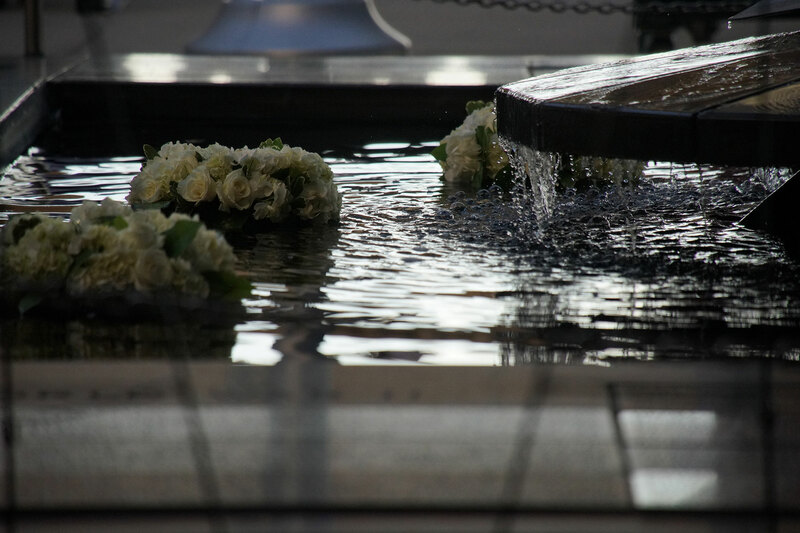 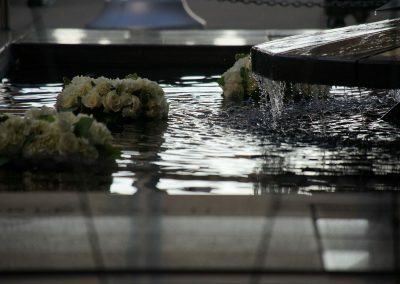 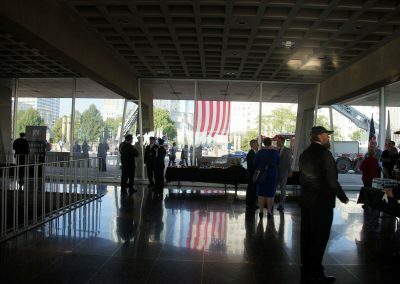 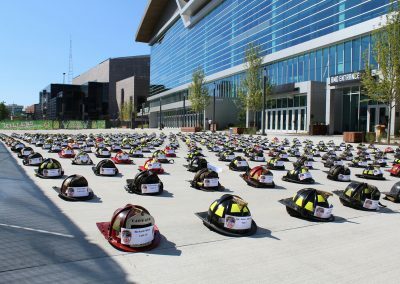 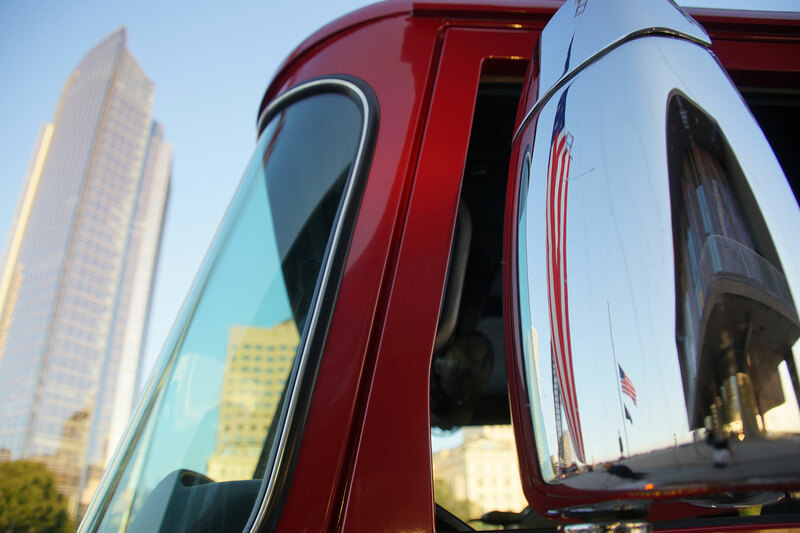 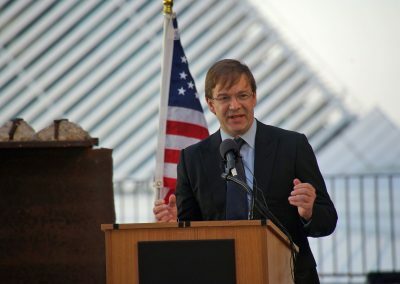 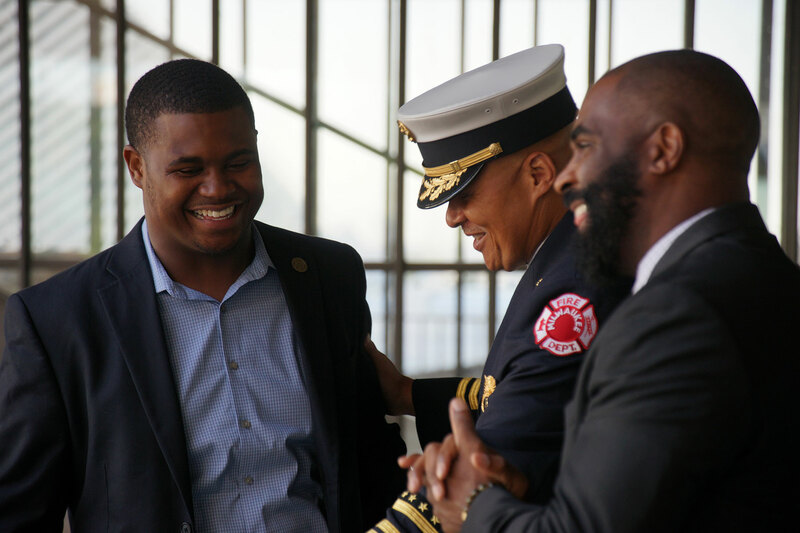 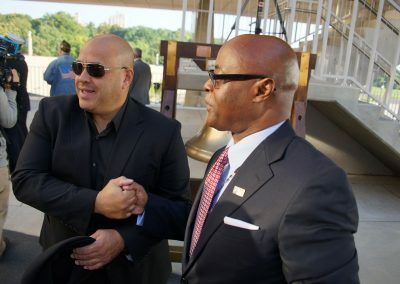 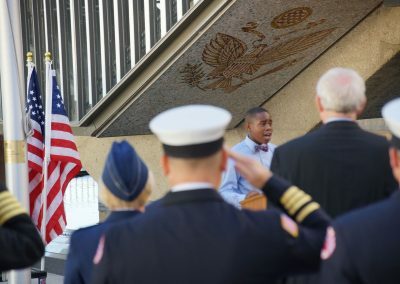 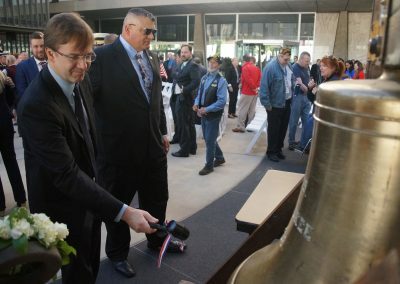 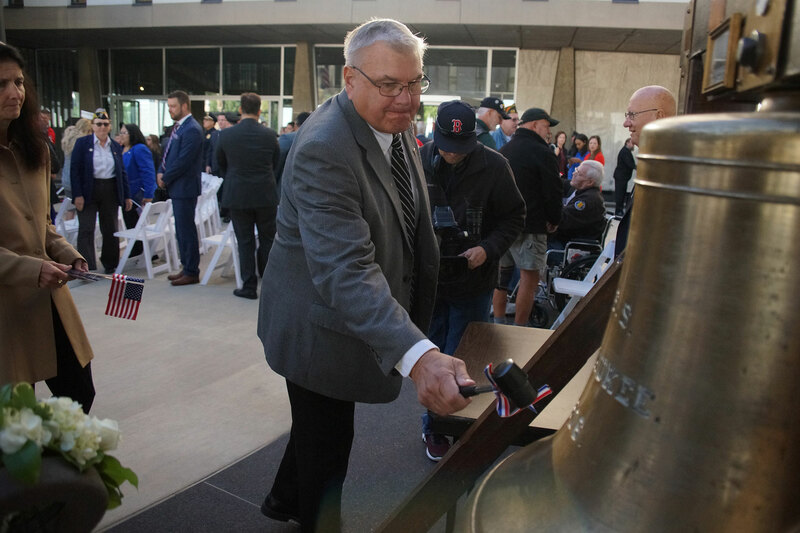 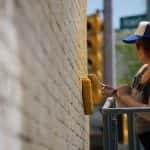 It was installed at the War Memorial to honor not only the 343 firefighters and paramedics killed in the World Trade Center attack, but also the police, Port Authority officers, and civilians who lost their lives that day.